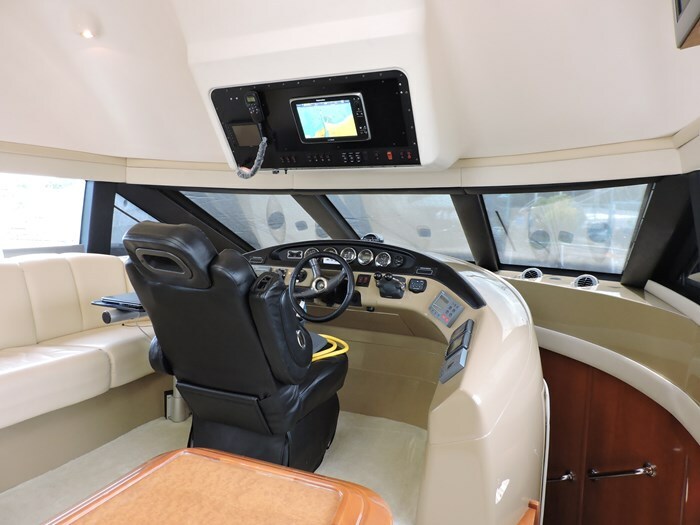 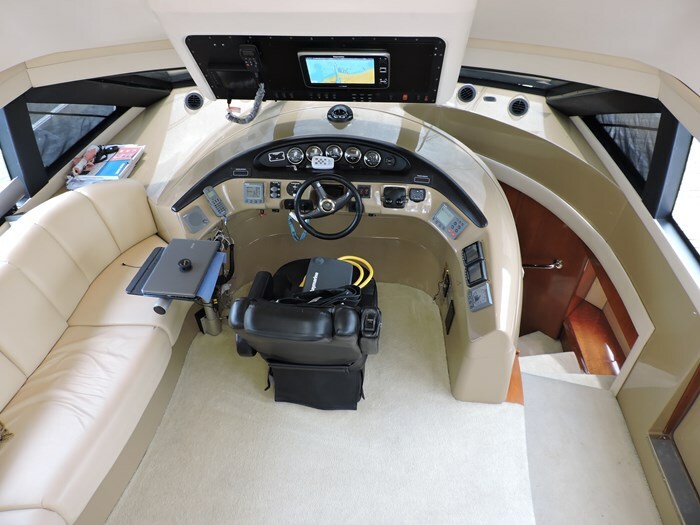 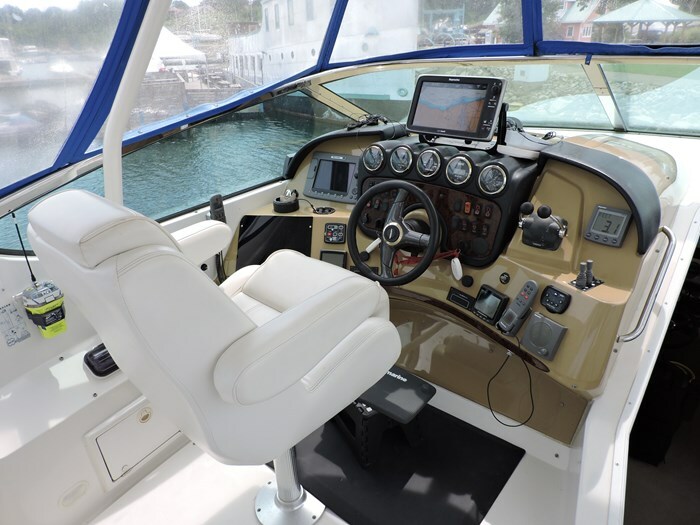 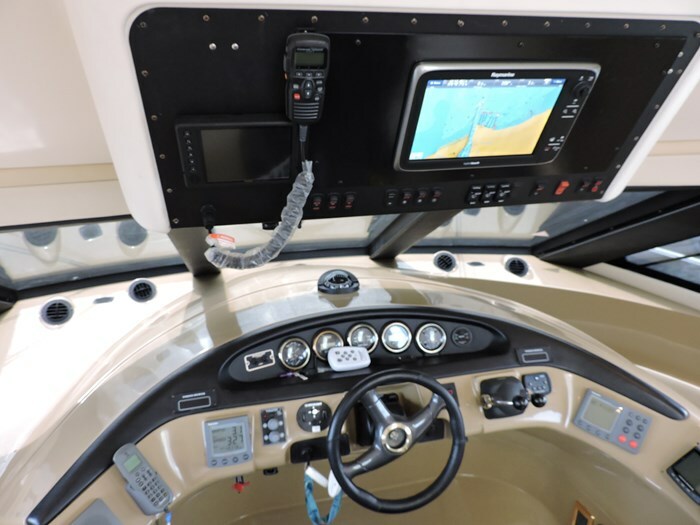 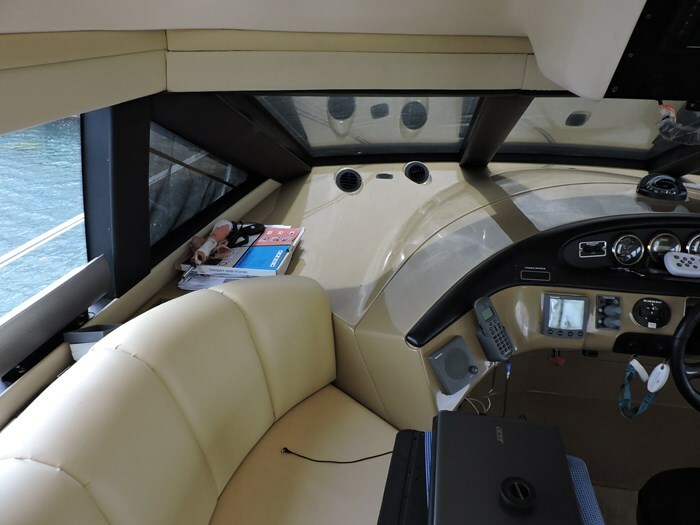 Navigation-Autopilot, 2 Raymarine Chartplotter Hybrid Touch, Compass, Depth Sounder, Docking Lights, Engine Sync. 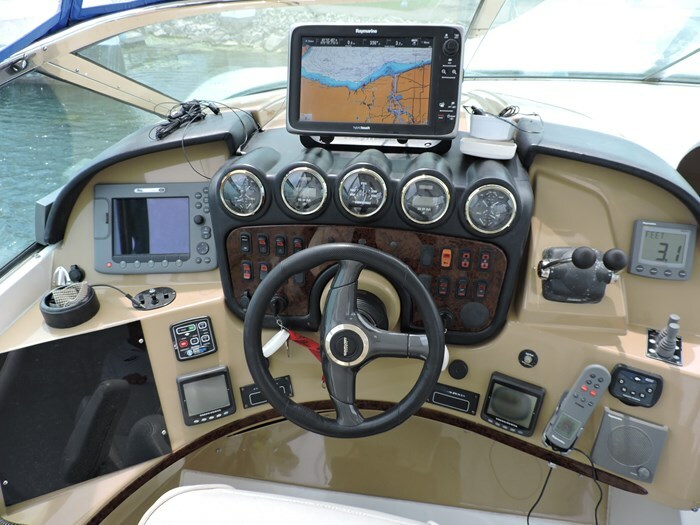 Gauge, Full Engine Instrumentation, GPS with Antenna, Horn, Lower Helm Station, Navigation Lights, Radar, Satellite TV, Remote Spotlight, Rudder Angle Indicator, VHF Radio, Windshield Wipers. 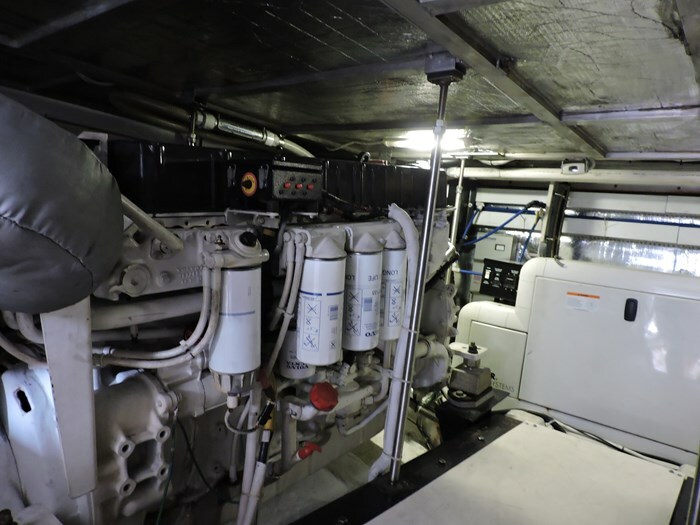 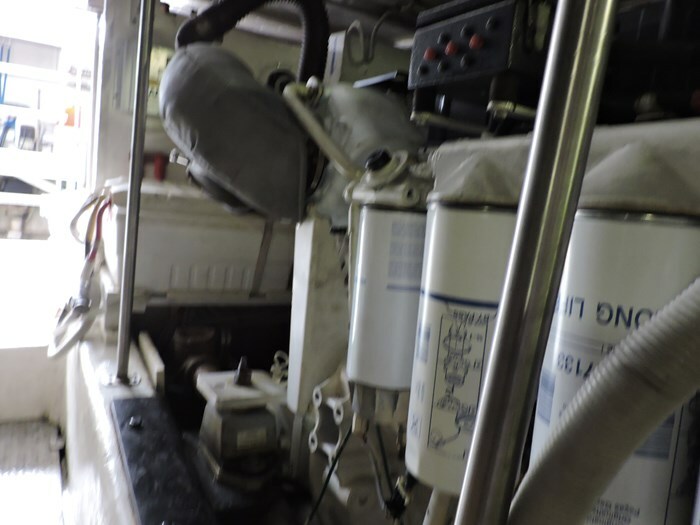 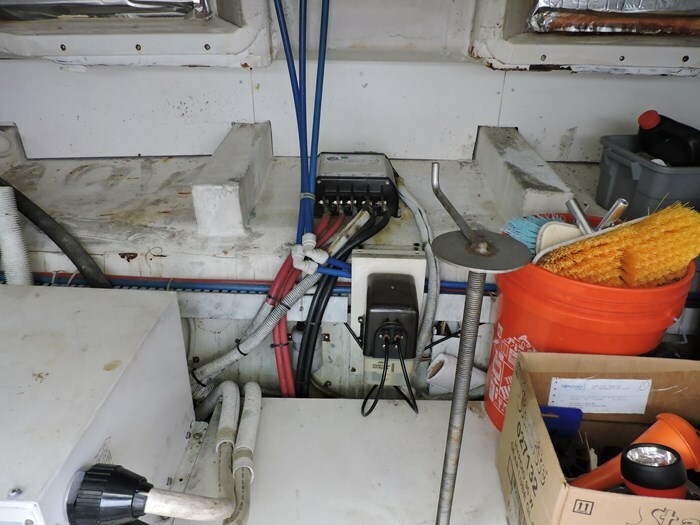 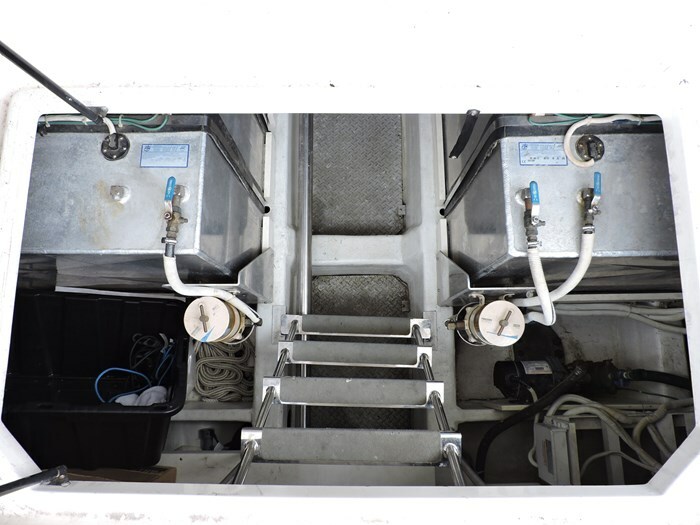 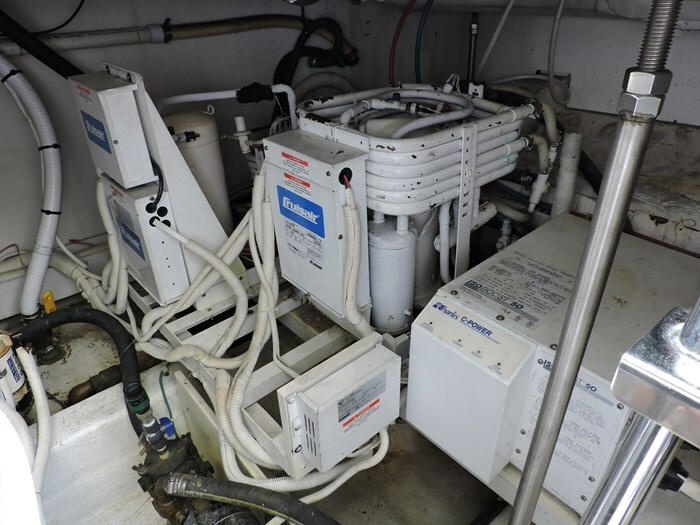 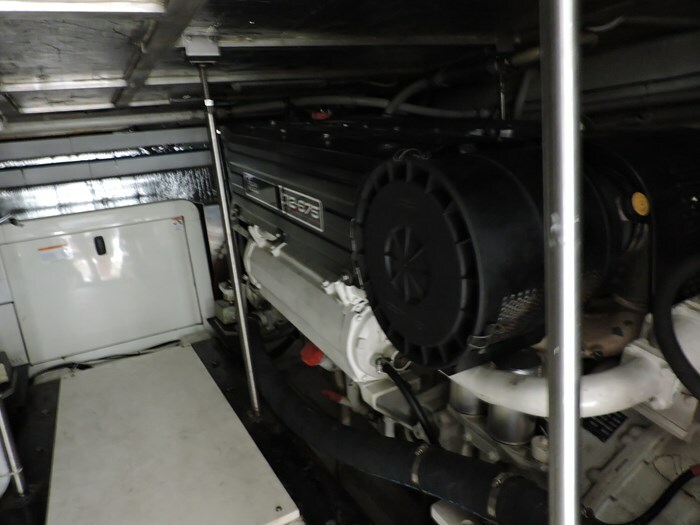 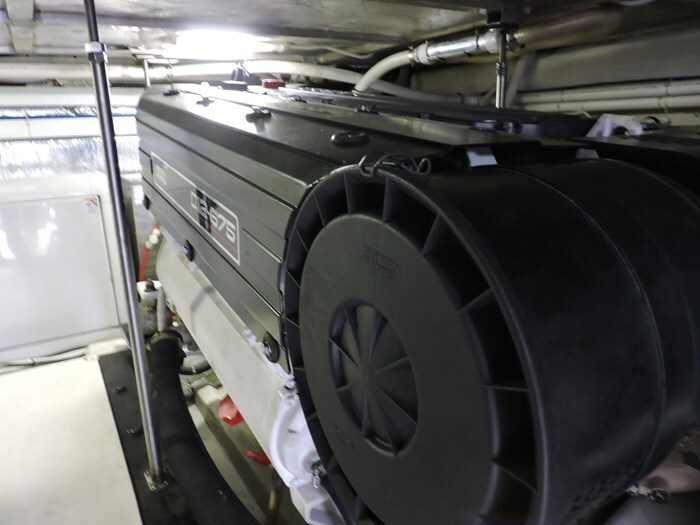 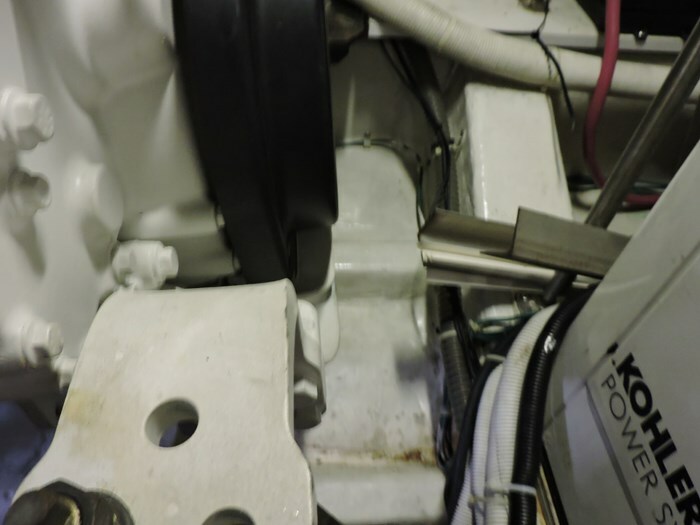 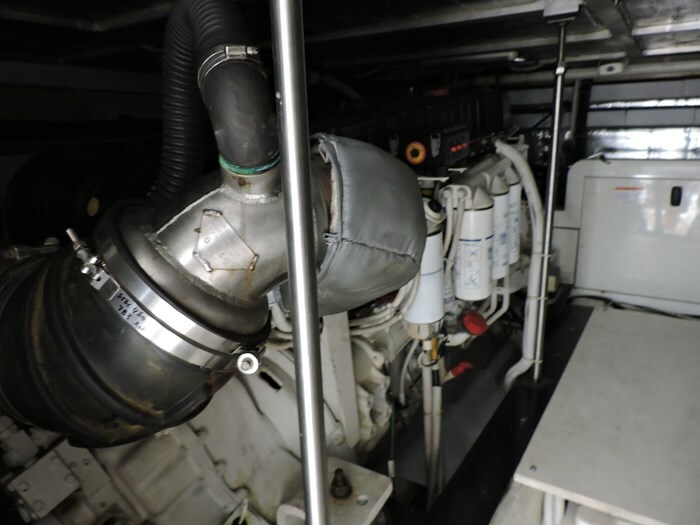 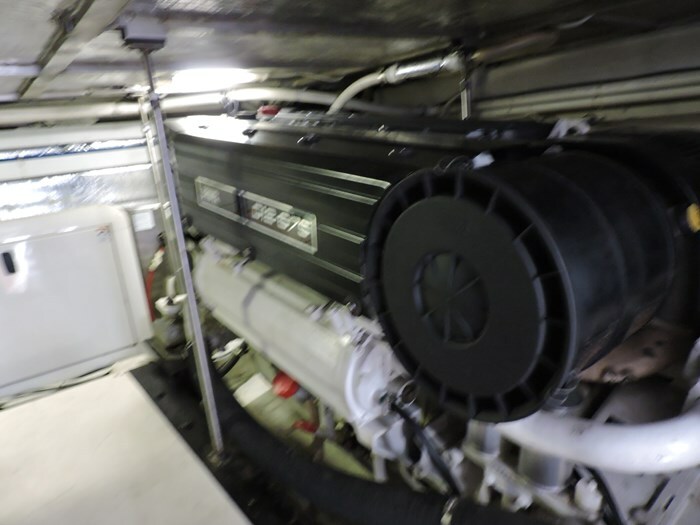 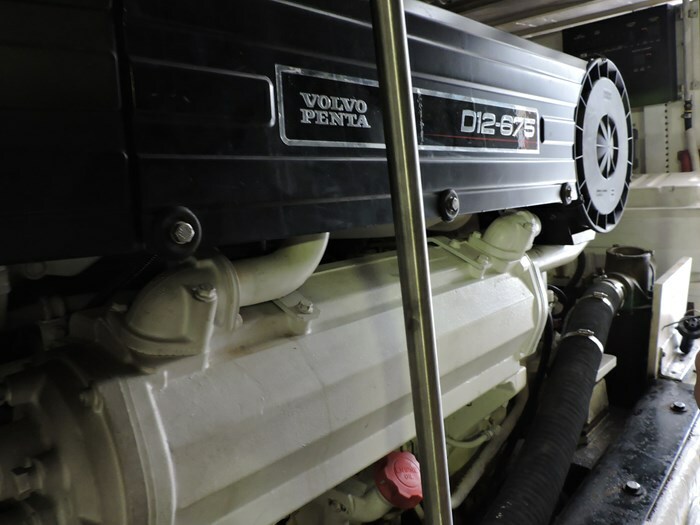 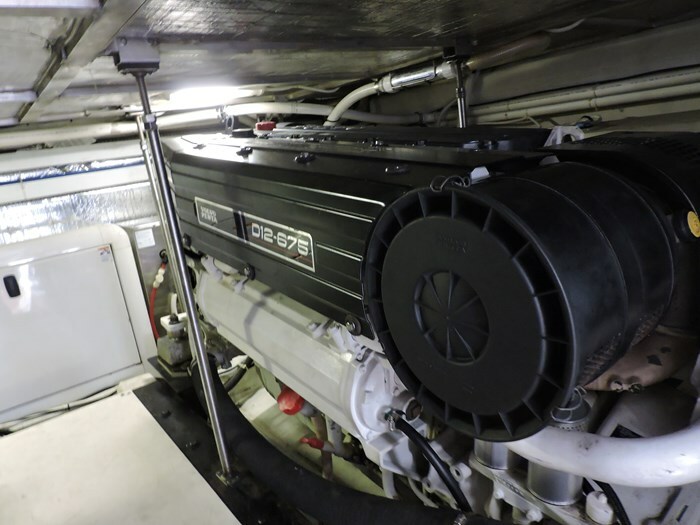 Systems-110V Hot Water, 12V Outlet, AM/FM/CD Stereo, Anchor Windlass, Auto Oil Changer, Automatic Halon, Battery Chargers, Battery Switches, Bilge Pumps and Blowers, Bow & Stern Thruster, Bridge Stereo, Central Vac, Diesel Generator with 1840 Hours, Dockside Water, Multiple Batteries, Fresh Water Washdown, Glendinning Cable Master, High Water Bilge Alarm, Hour Meters, Hydraulic Trim Tabs, Inverter, Knot Meter, Master Stateroom TV/Stereo/DVD, Overboard Discharge, Pressure Water, Reverse Cycle Heat and Air Conditioning, Salon TV/DVD, Second Stateroom TV/DVD, Shorepower with Cord, Surround Sound Stereo System, Tilt Steering, Transom Shower, Separate Washer and Dryer, Waste and Water Gauges. 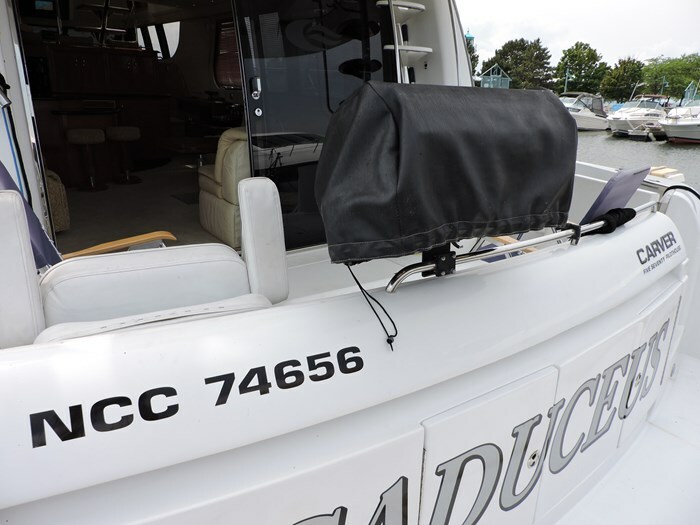 Exterior-Adjustable Helm Seat. 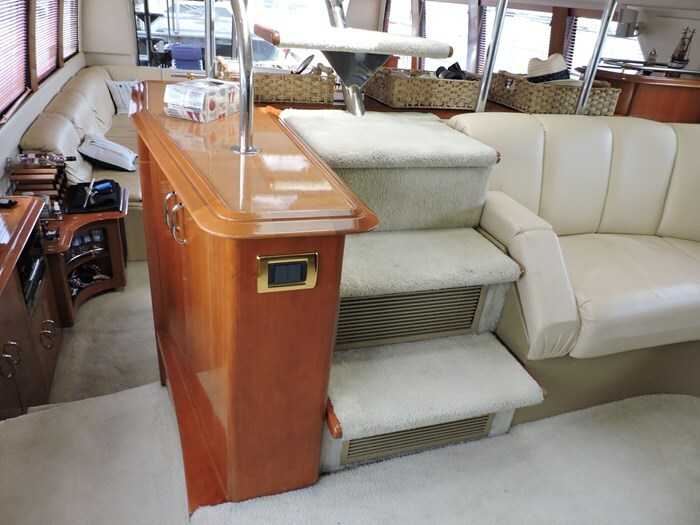 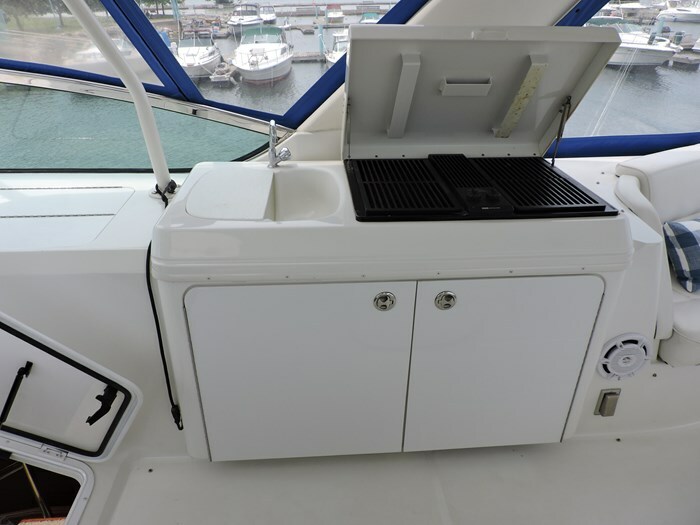 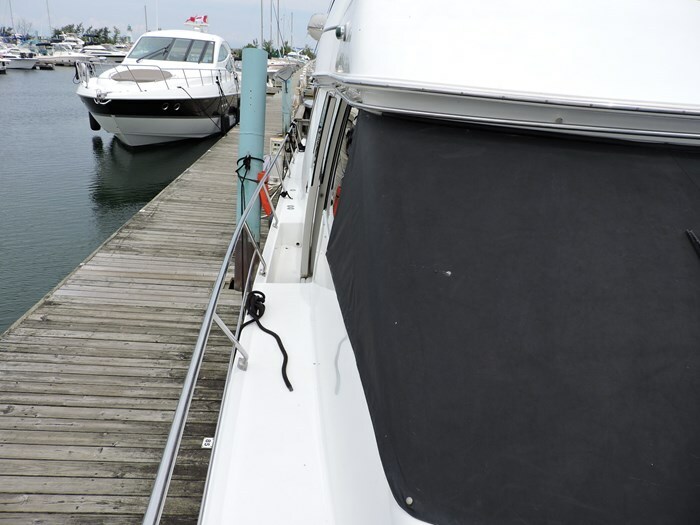 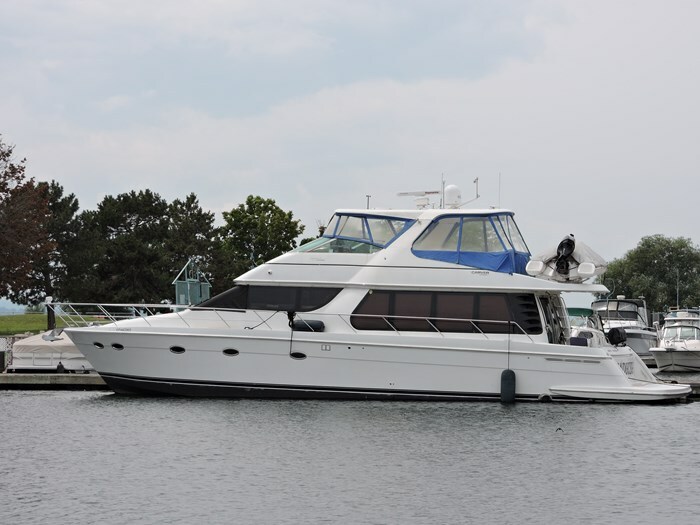 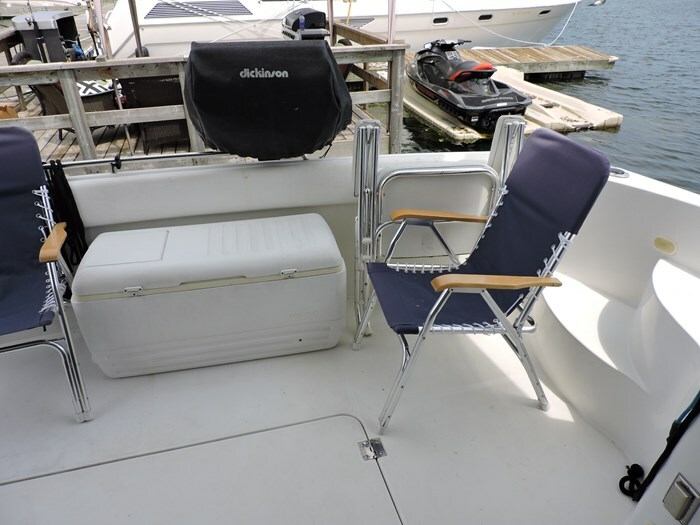 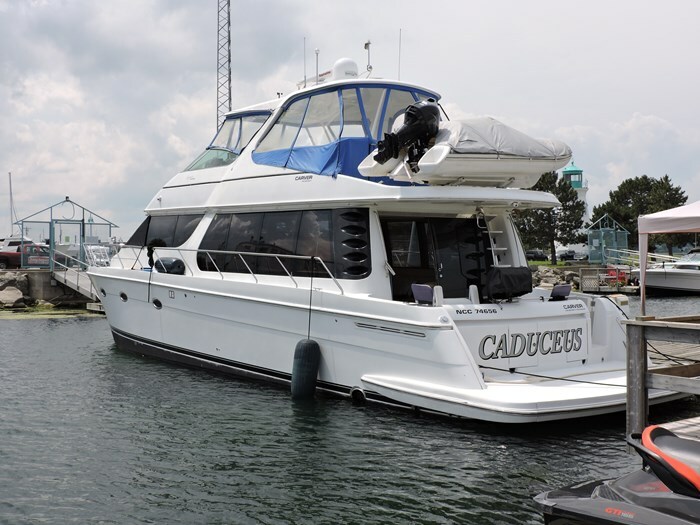 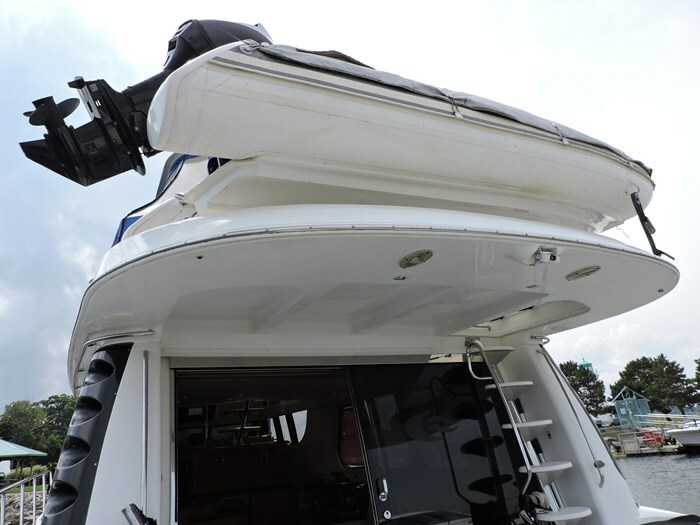 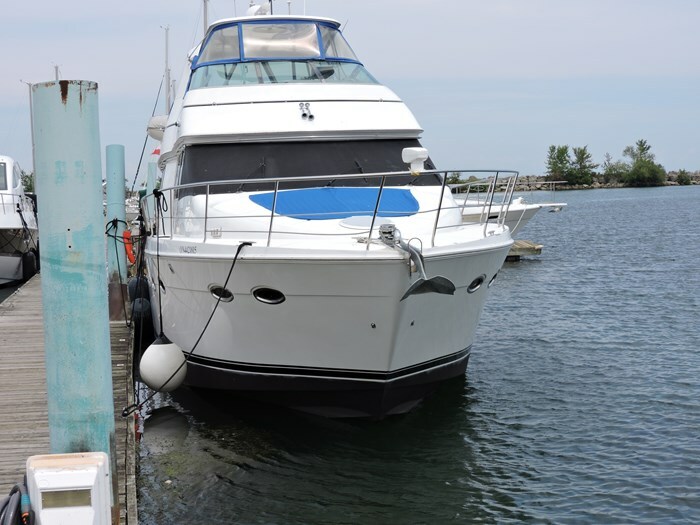 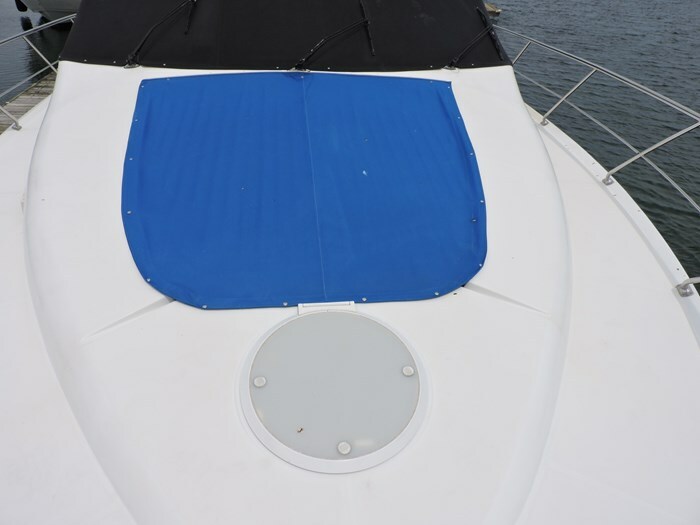 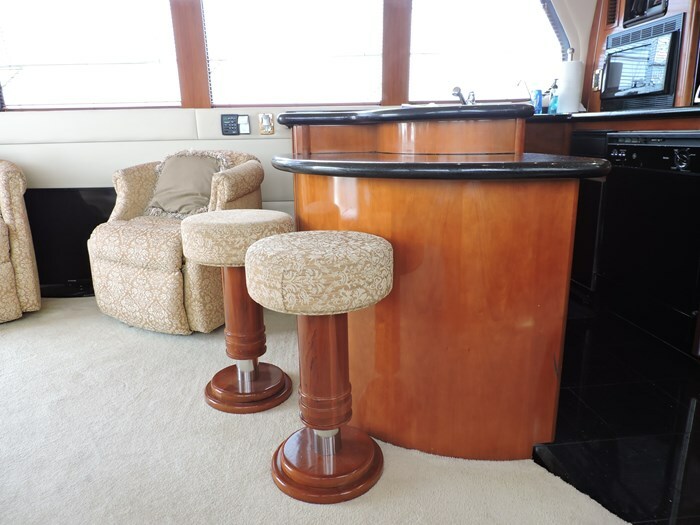 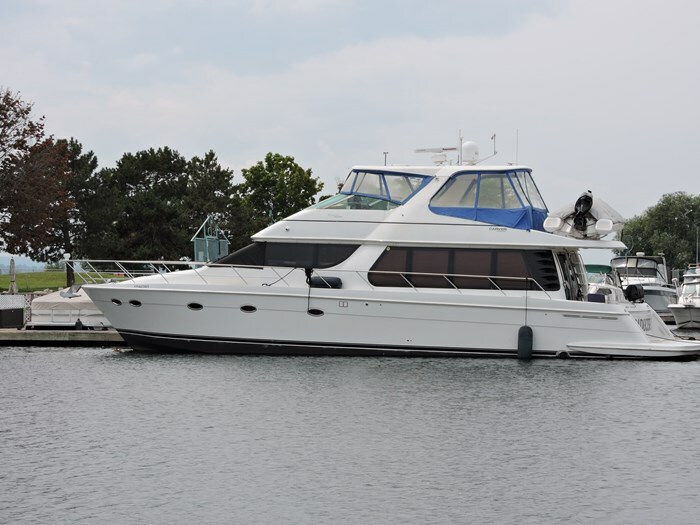 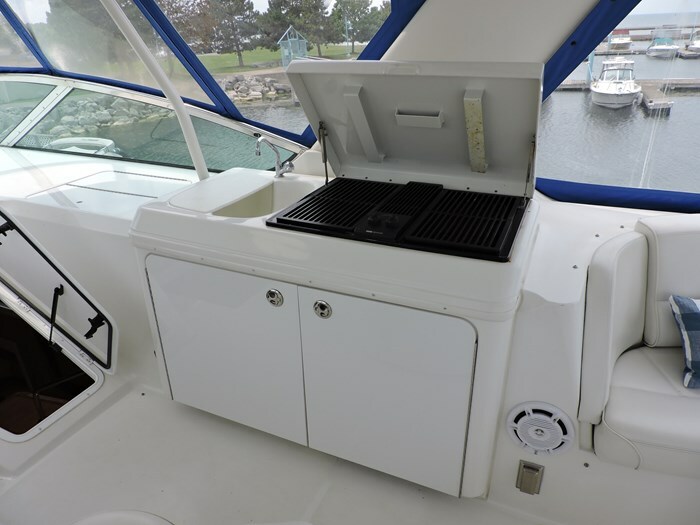 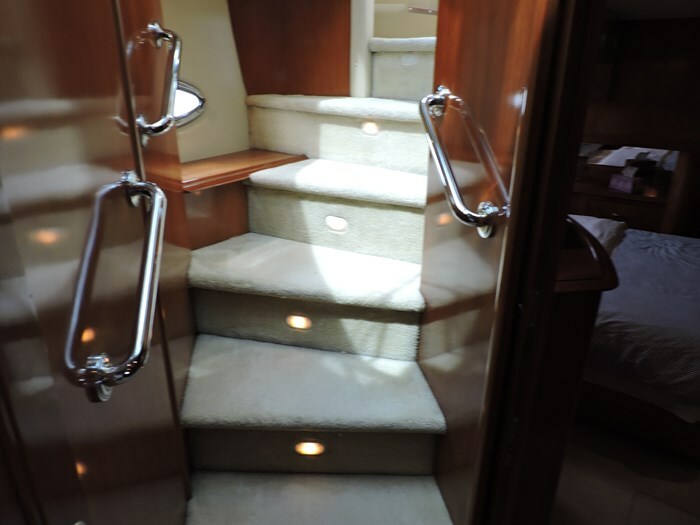 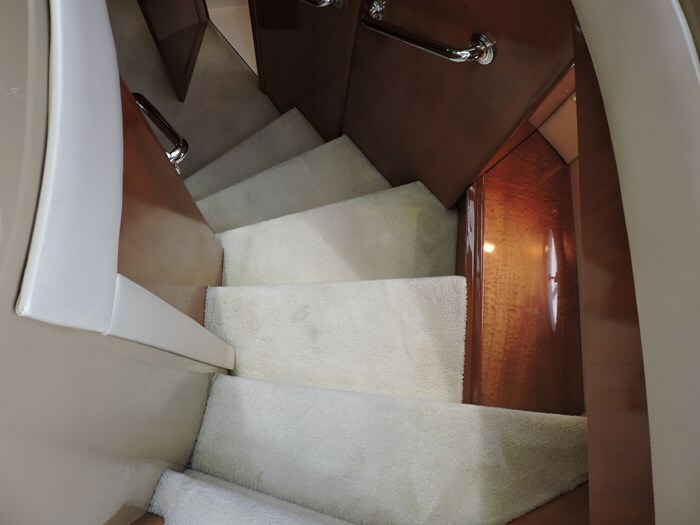 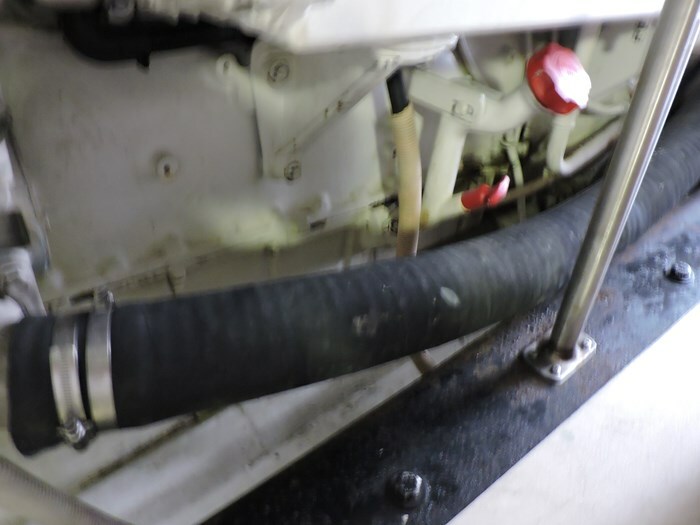 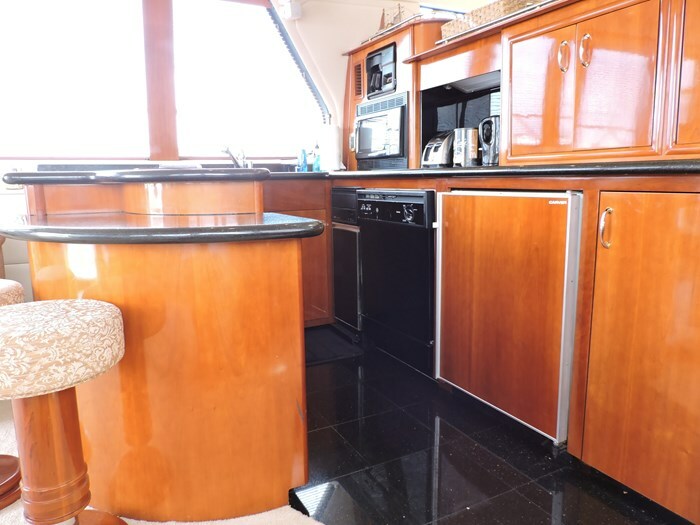 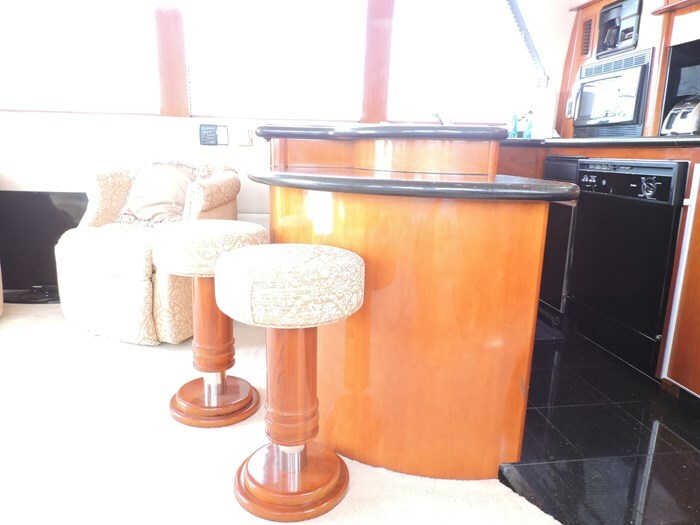 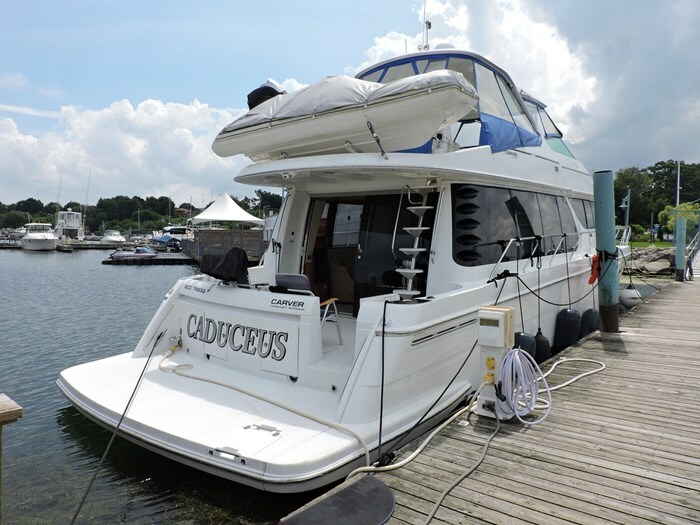 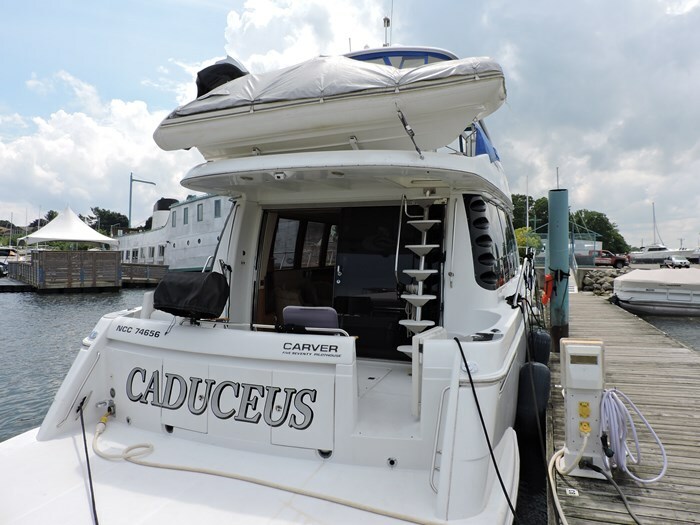 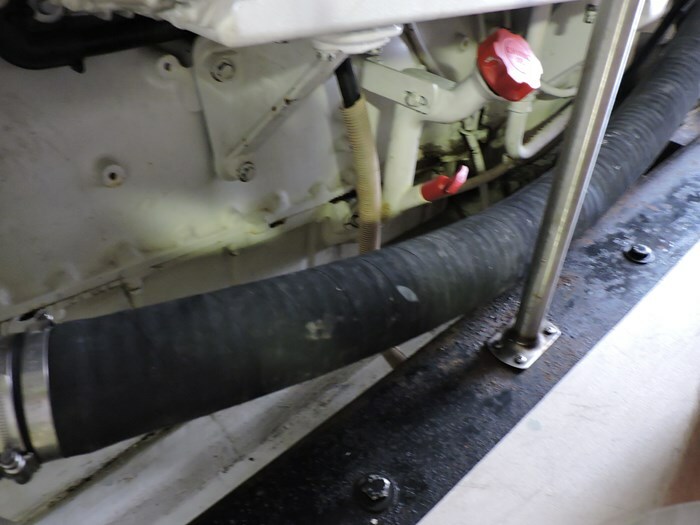 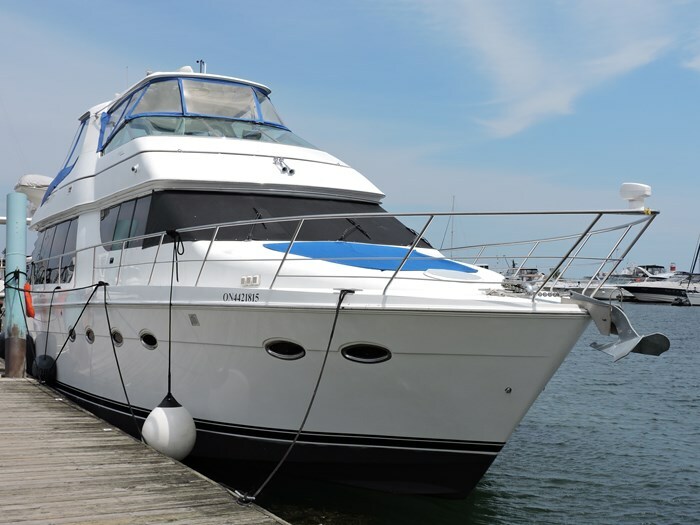 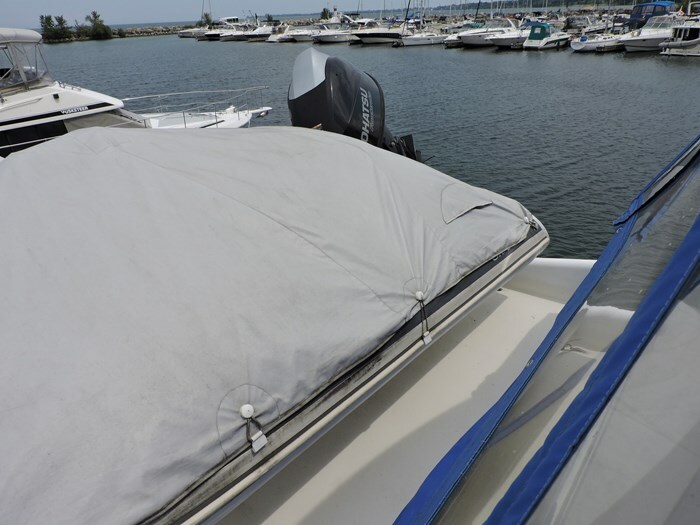 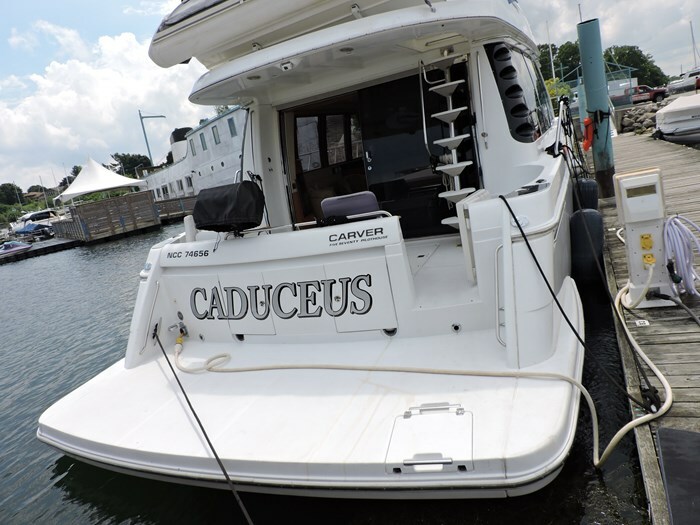 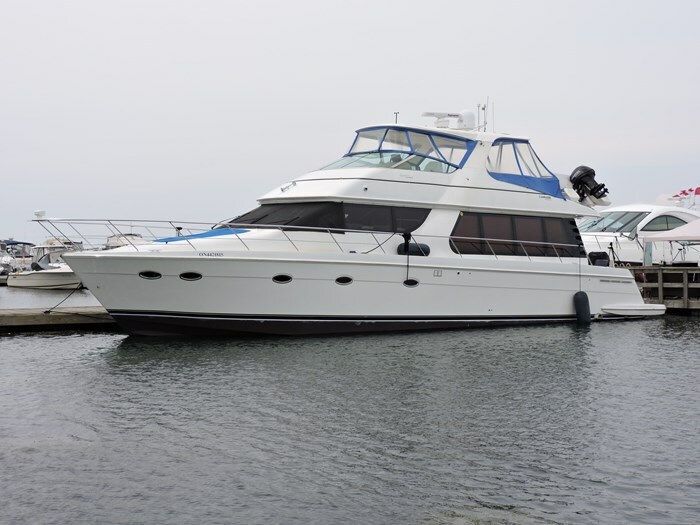 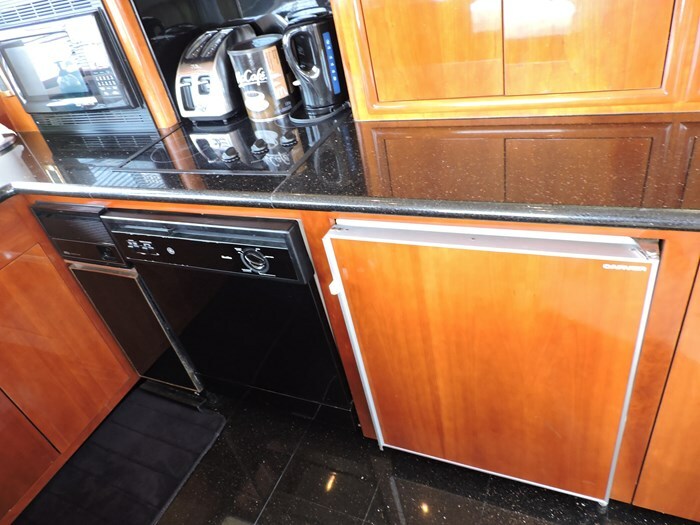 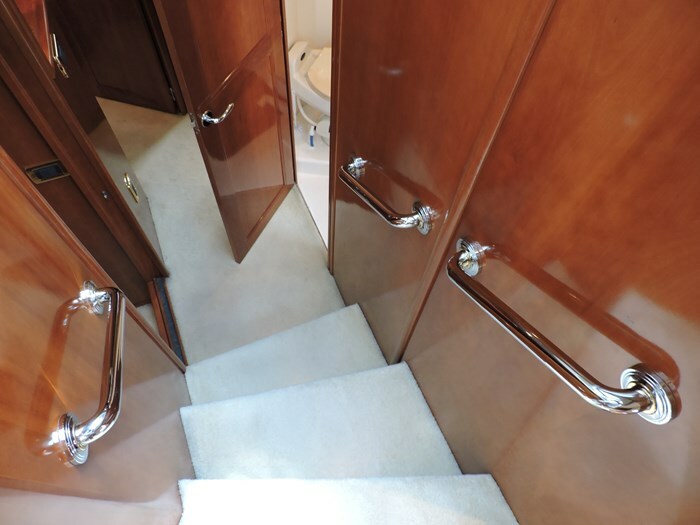 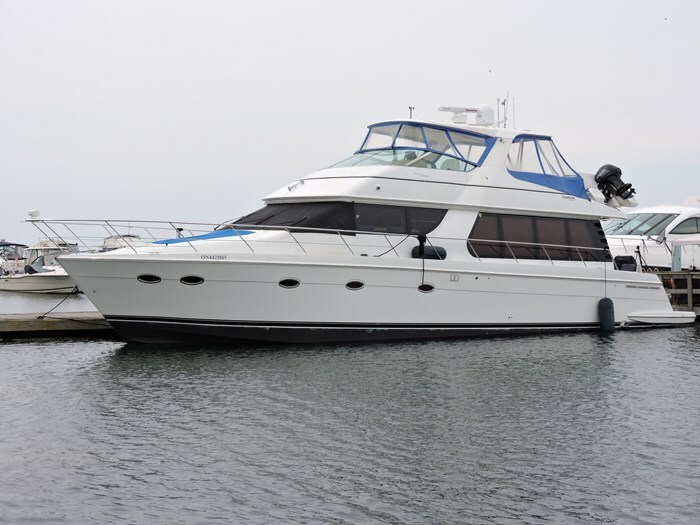 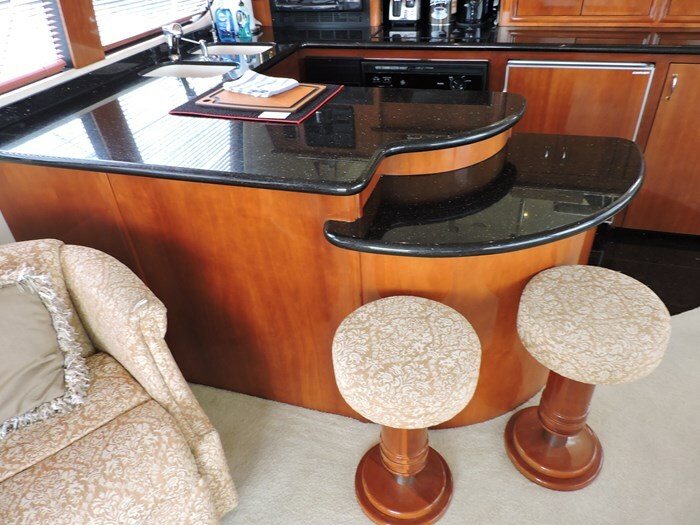 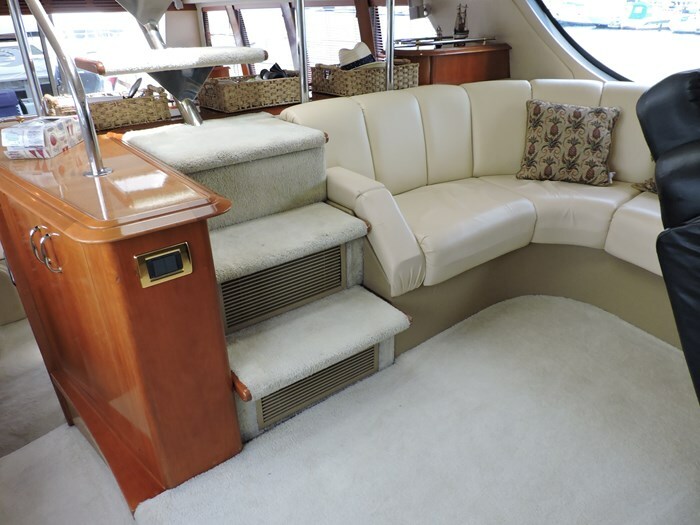 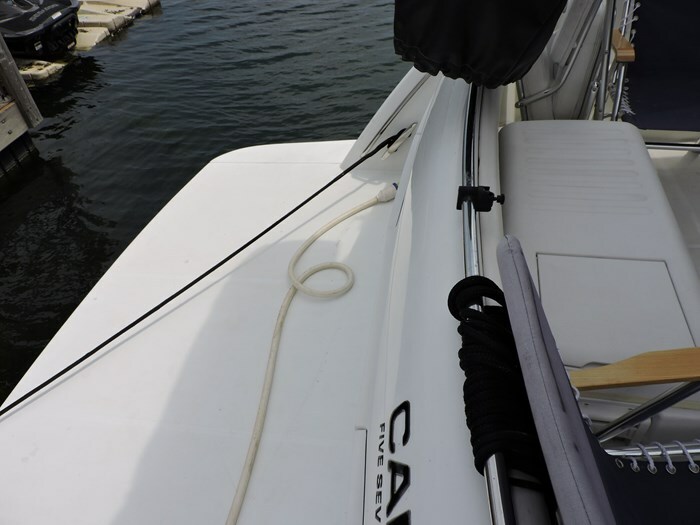 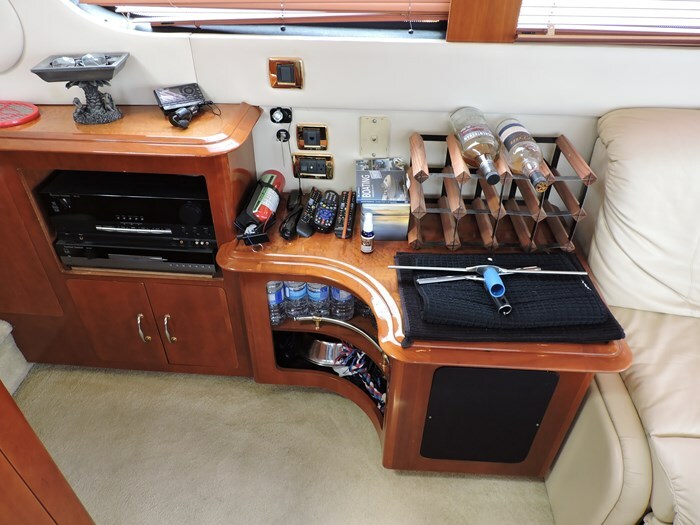 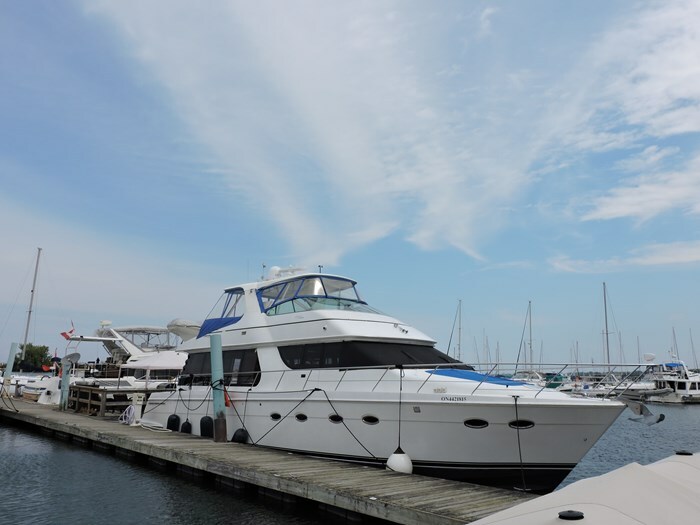 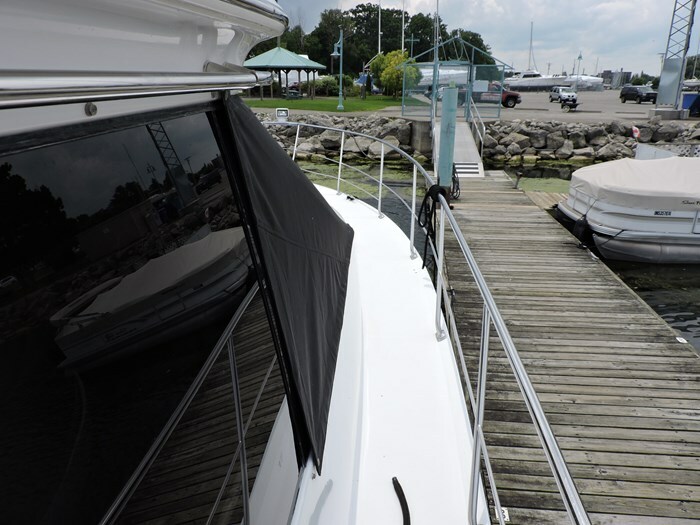 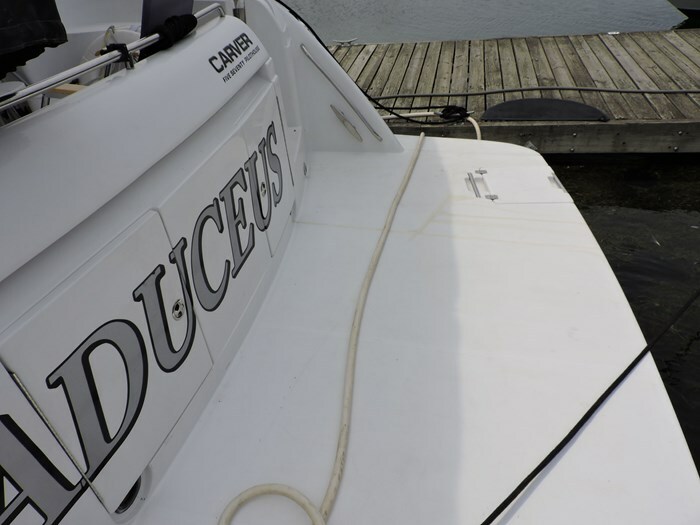 Anchor Roller, Flybridge Electric Grill, Hardtop with Full Enclosure, Bottom Paint, Bow Pulpit, Bow Rails, Courtesy Lights, Deck Sunpad, Flybridge Dinghy Davit, Exterior Fridge, Exterior Wet Bar, Fiberglass Cockpit Liner, Swim Platform with Ladder, Transom Door. 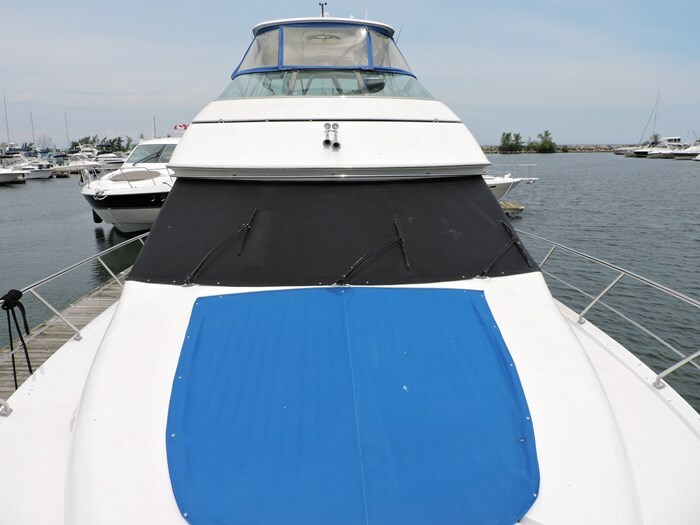 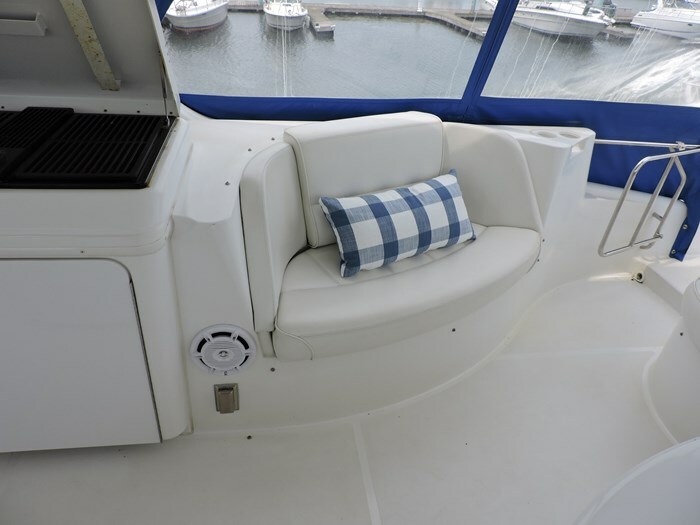 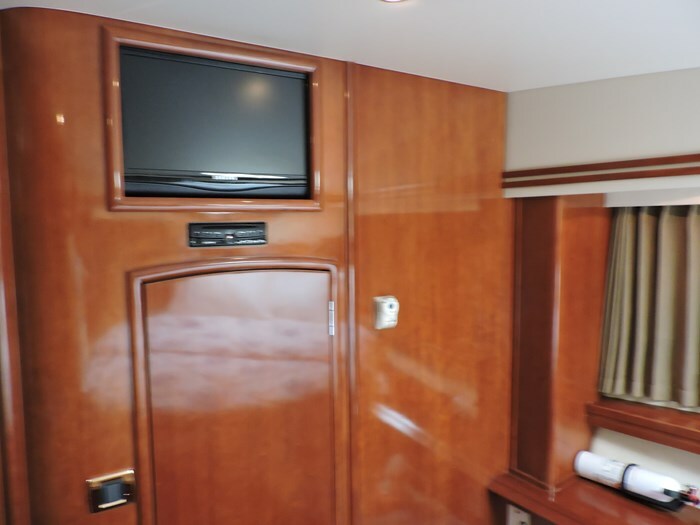 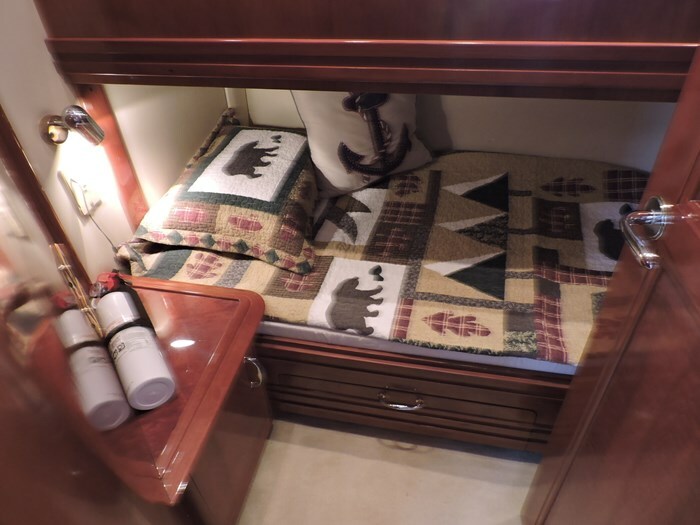 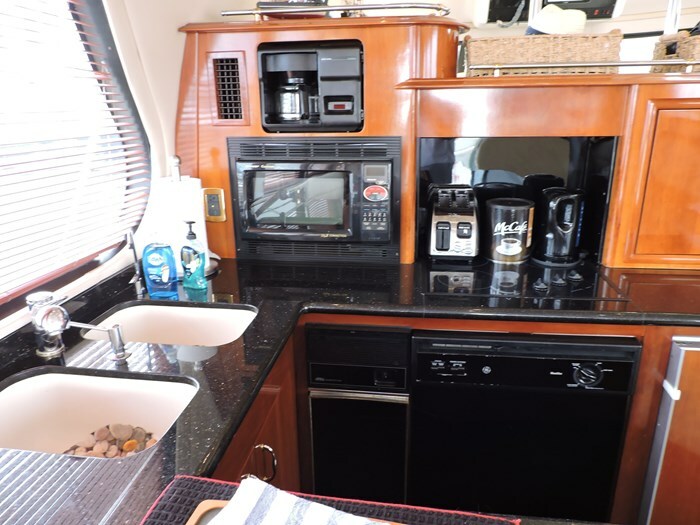 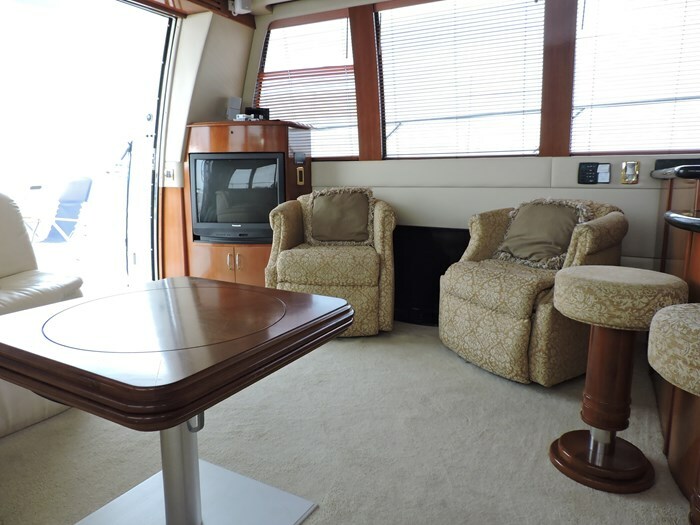 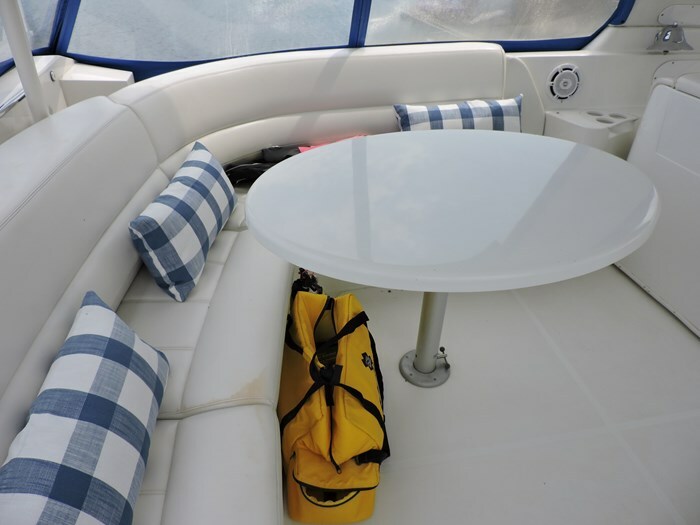 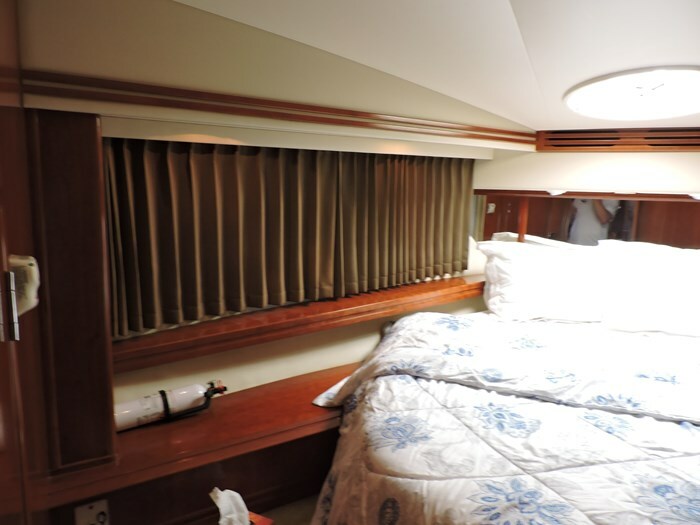 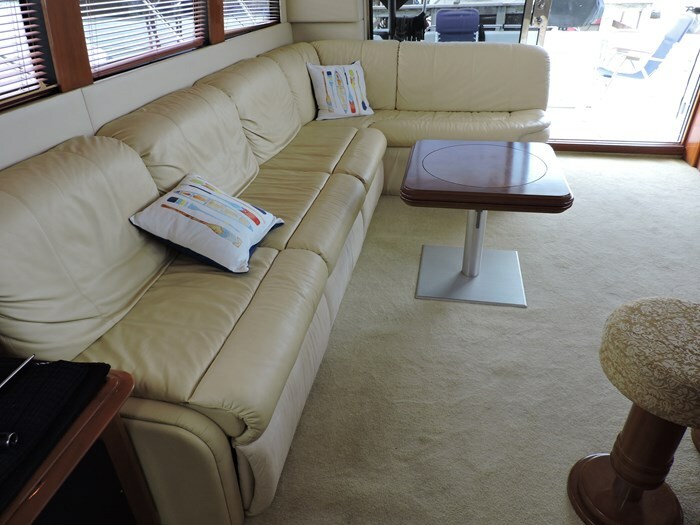 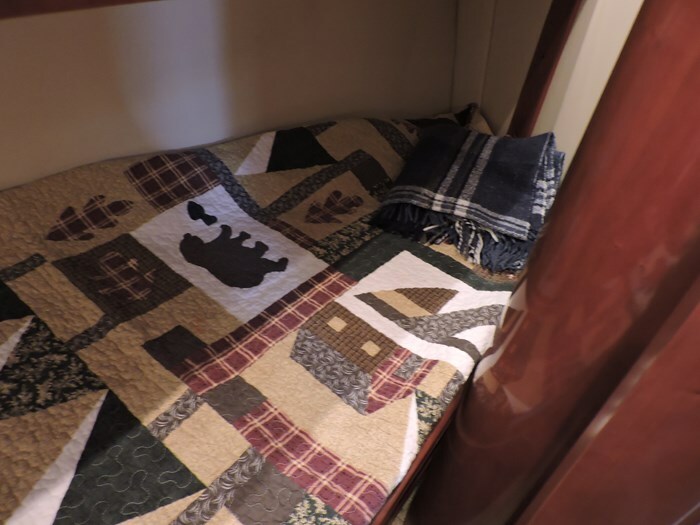 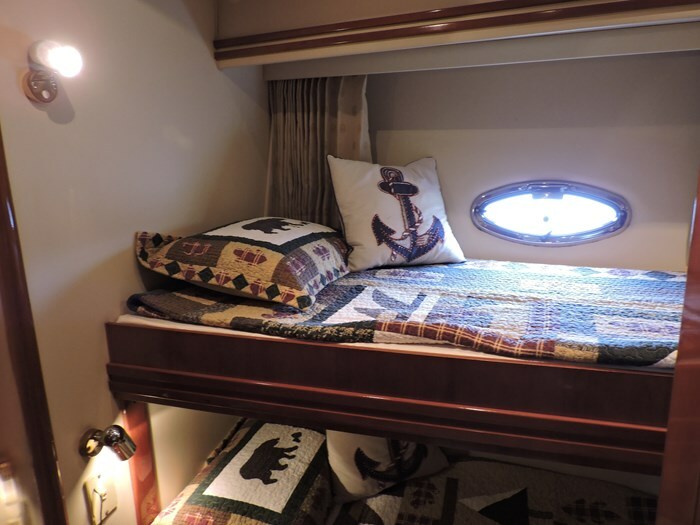 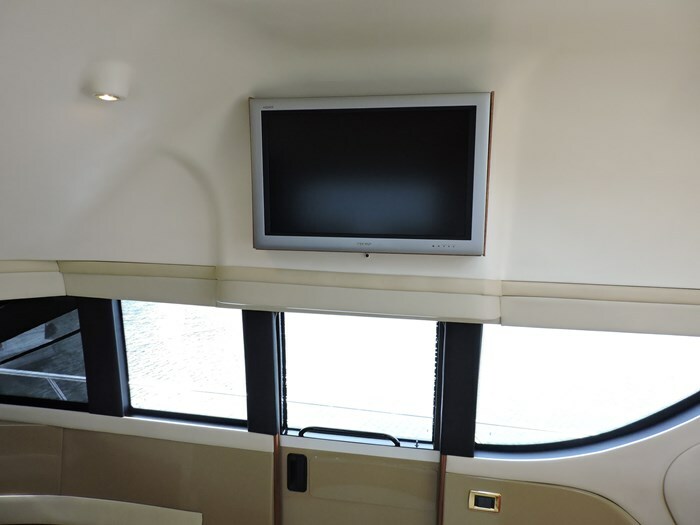 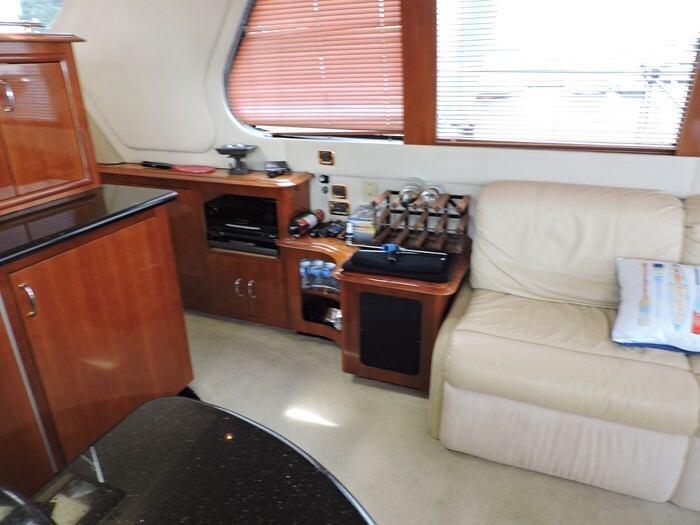 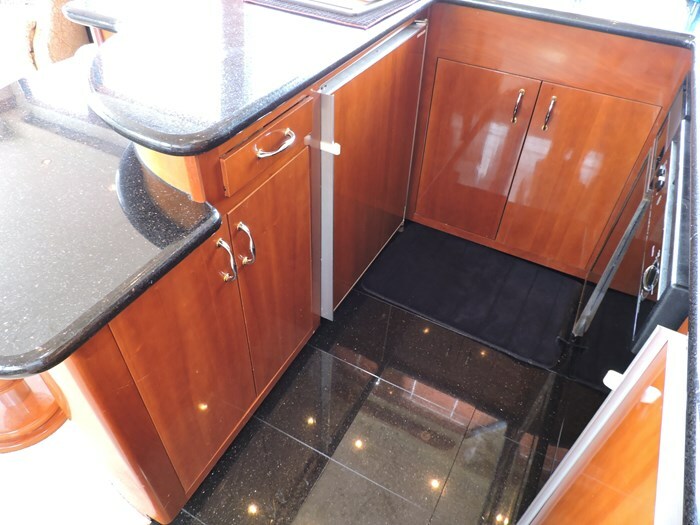 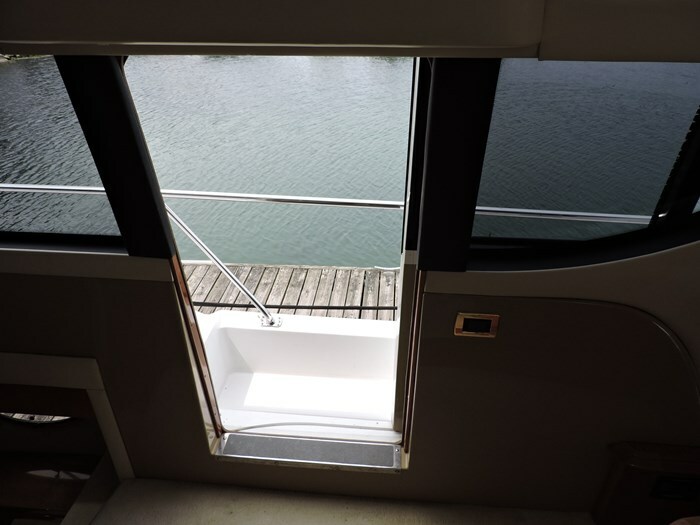 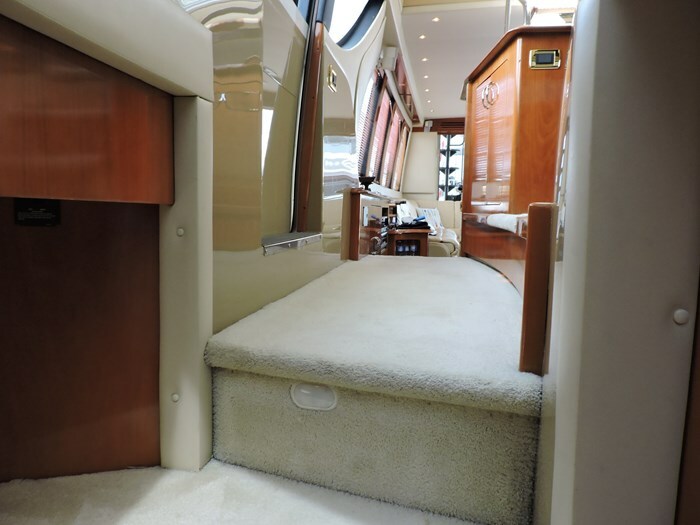 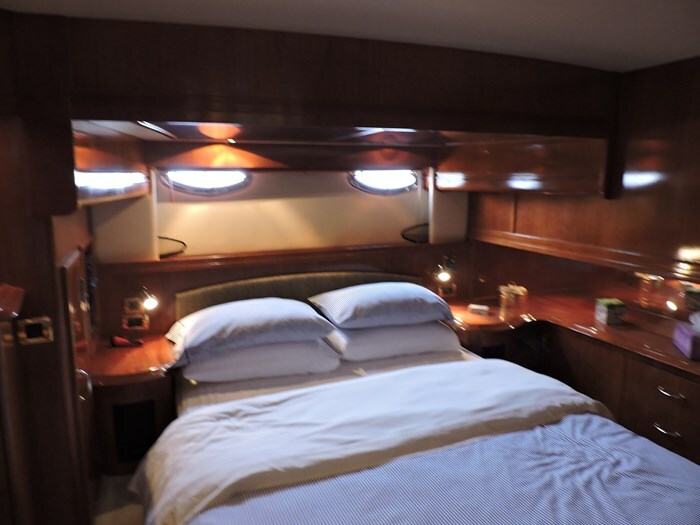 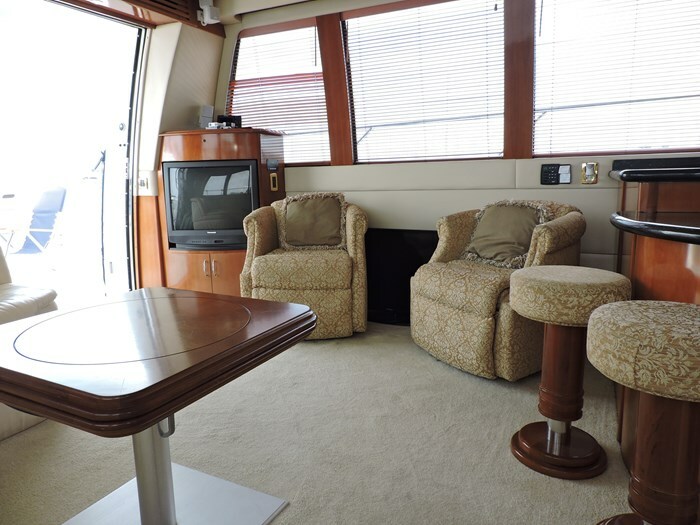 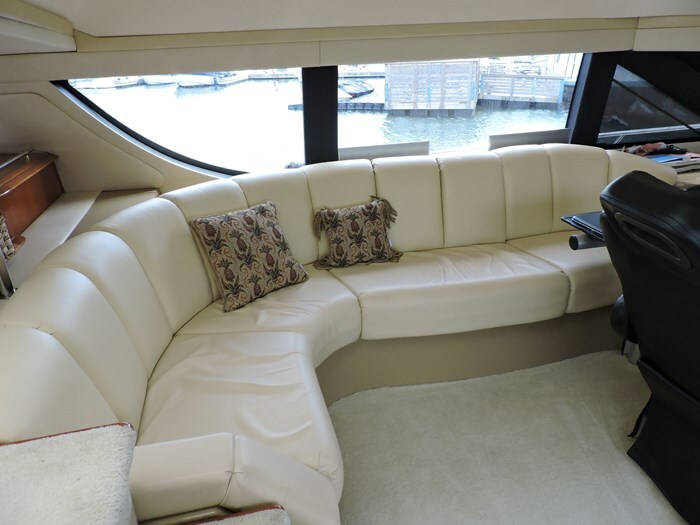 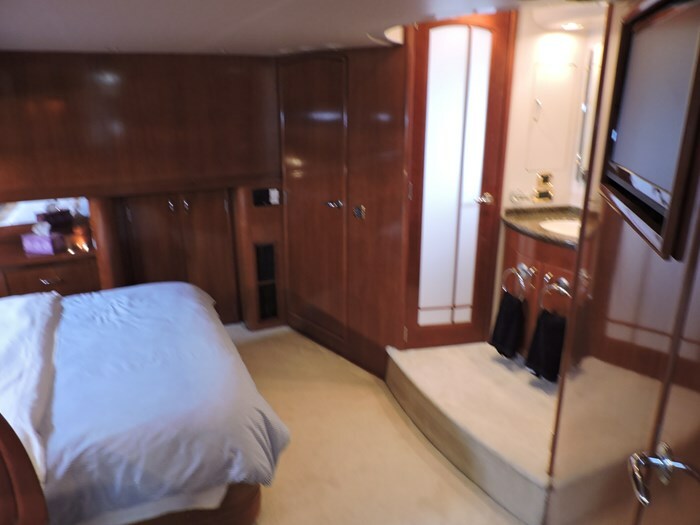 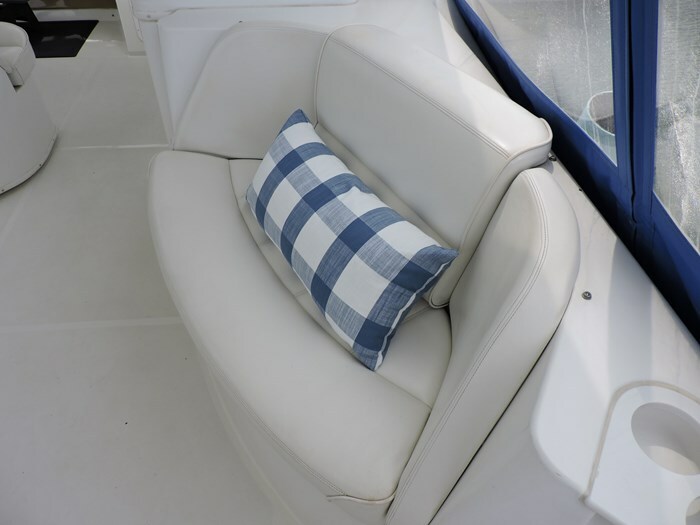 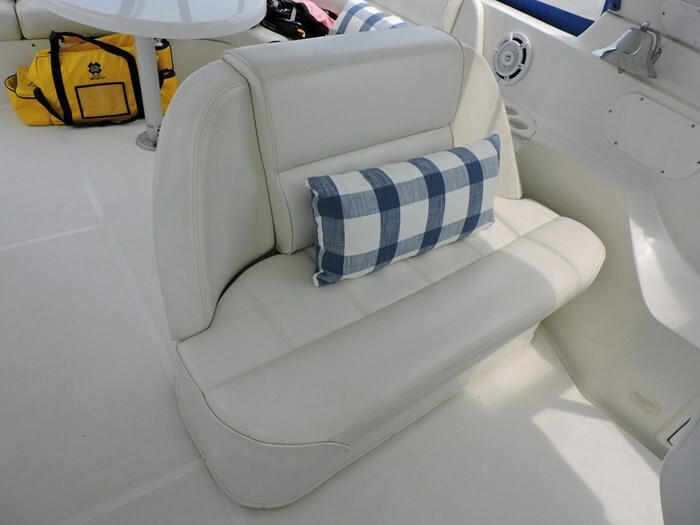 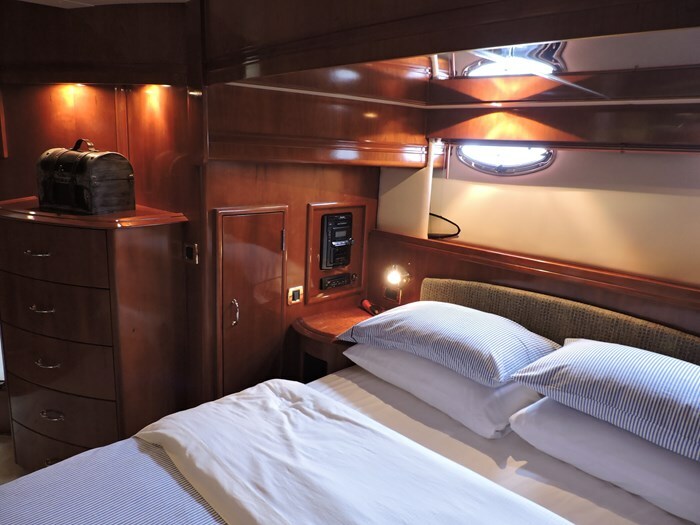 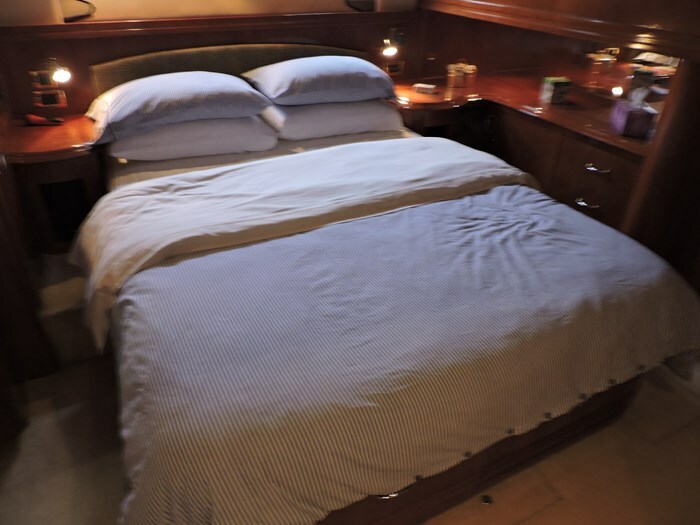 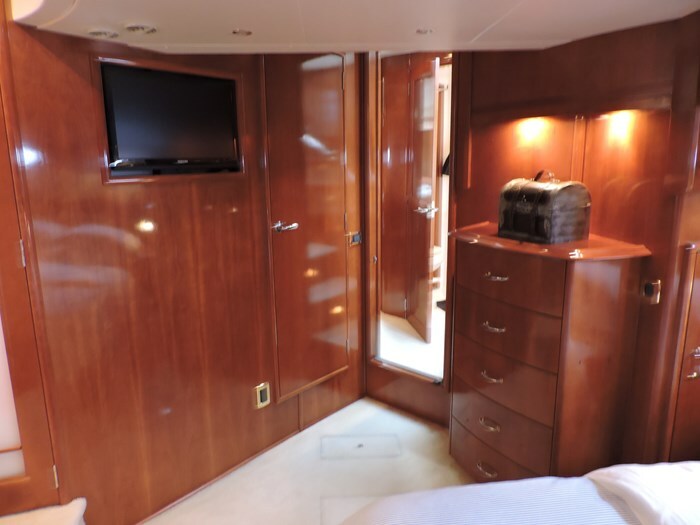 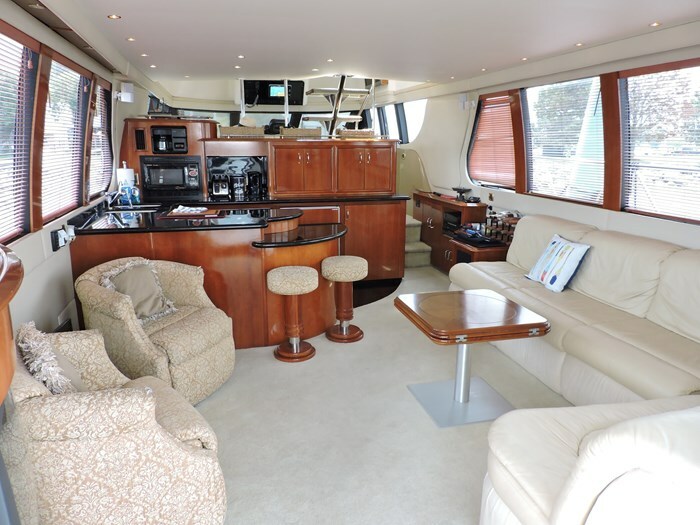 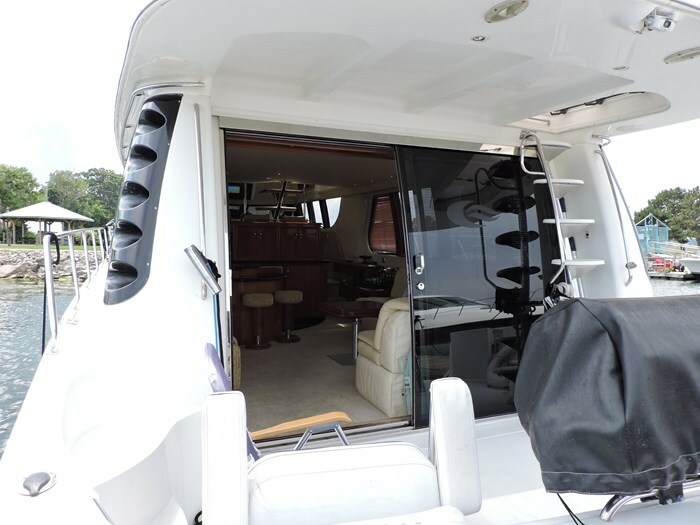 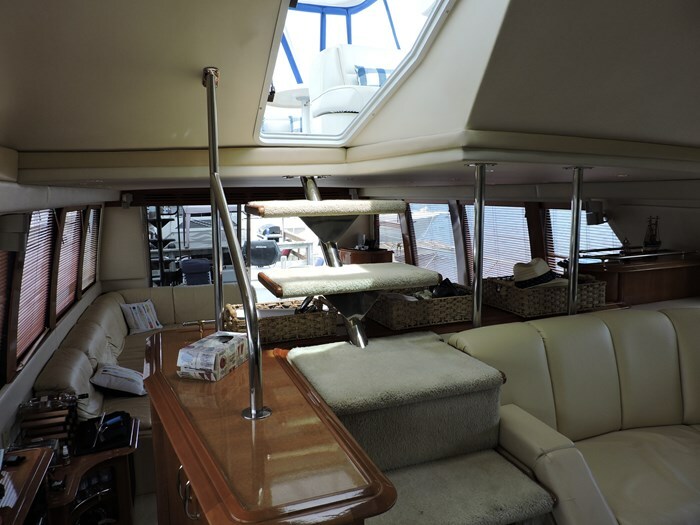 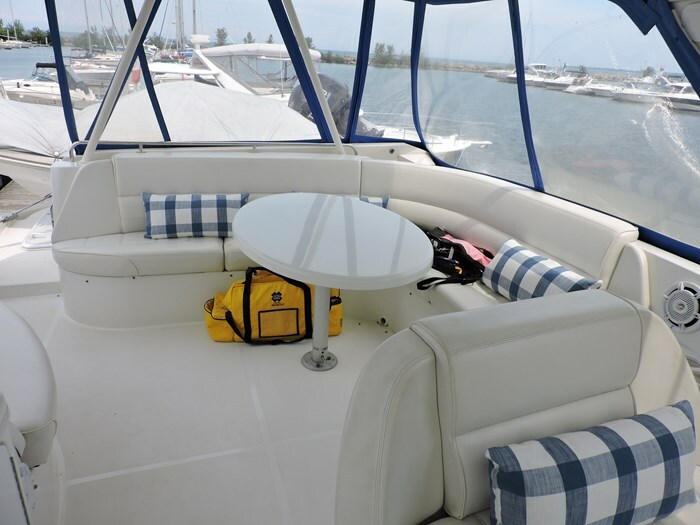 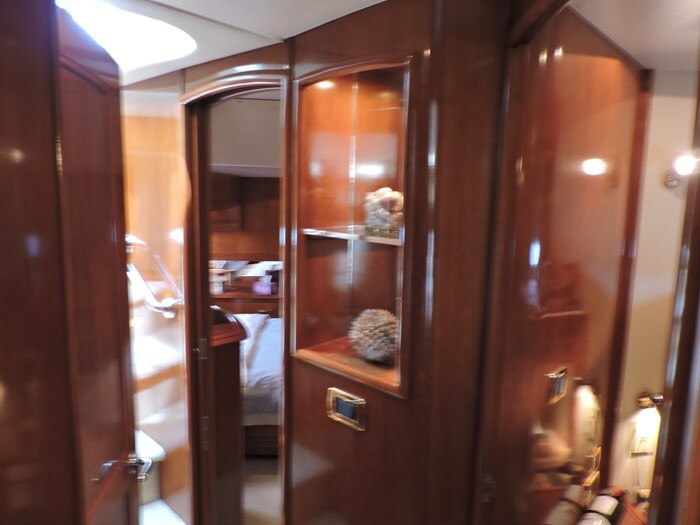 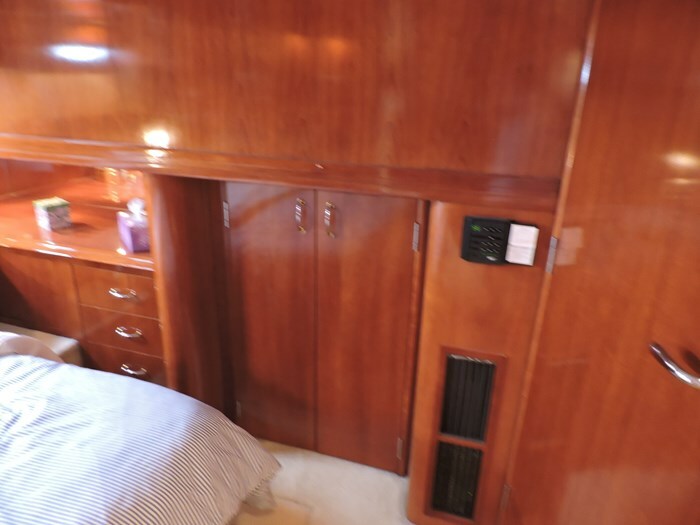 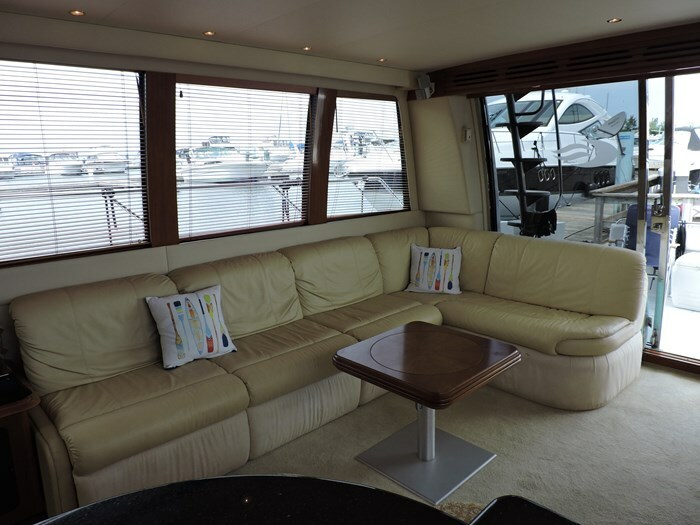 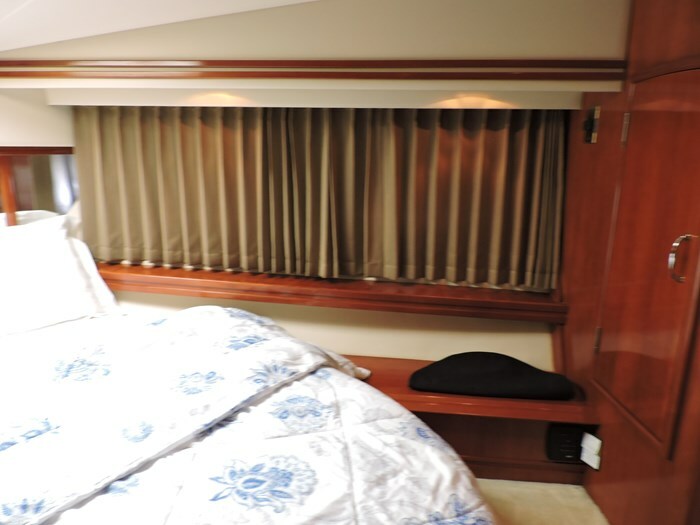 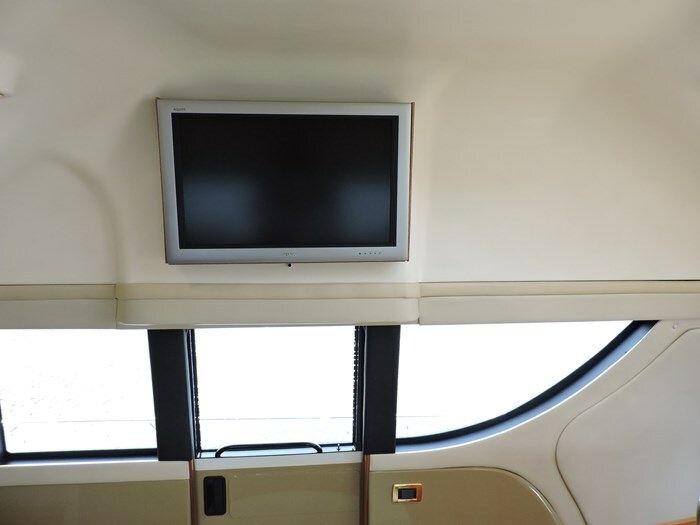 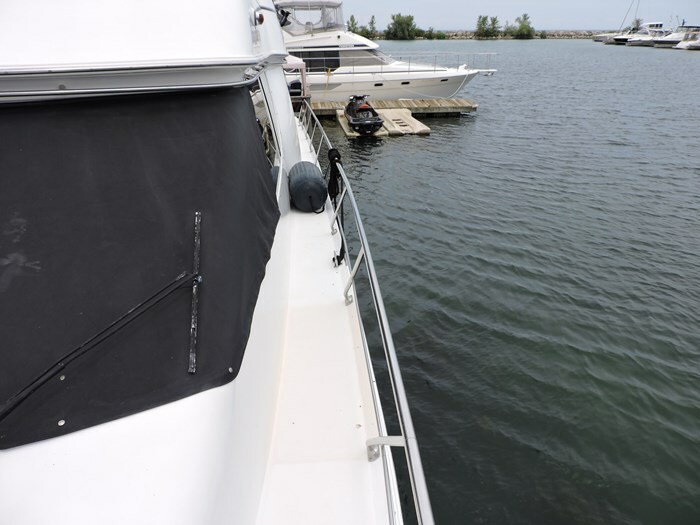 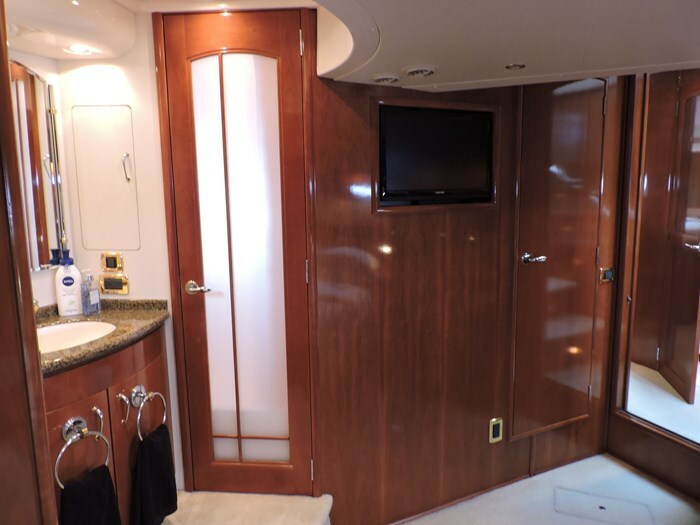 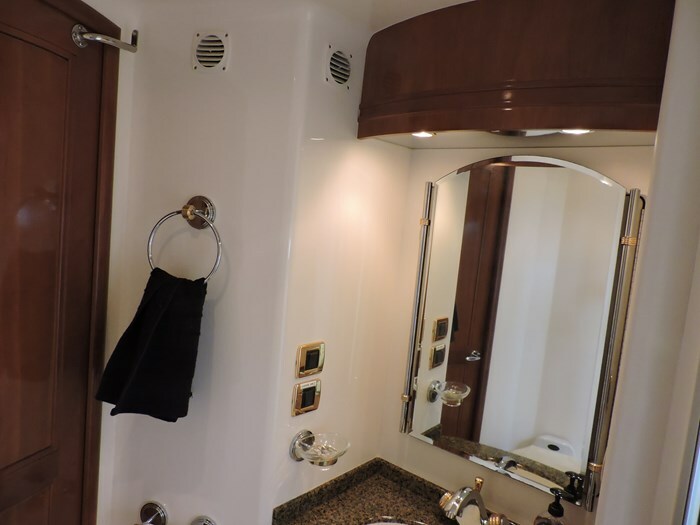 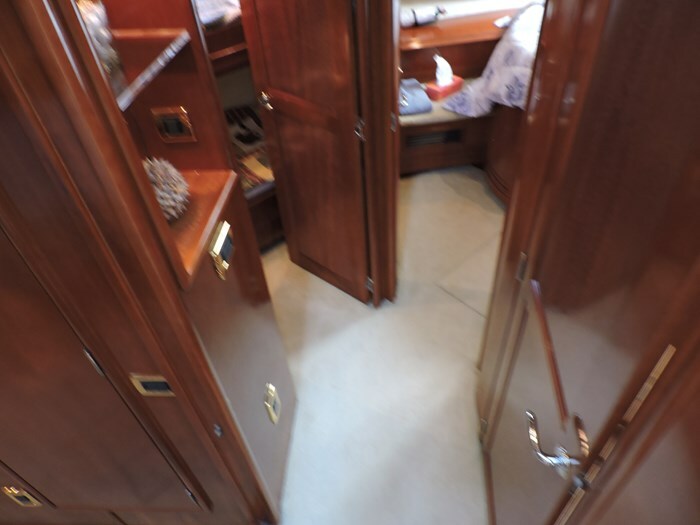 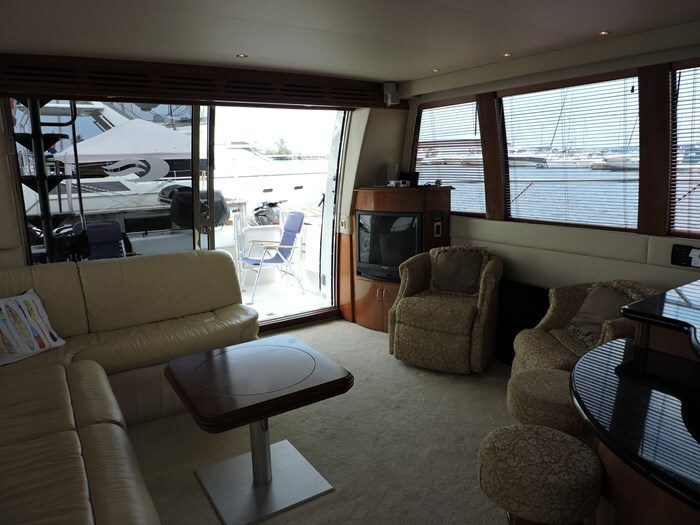 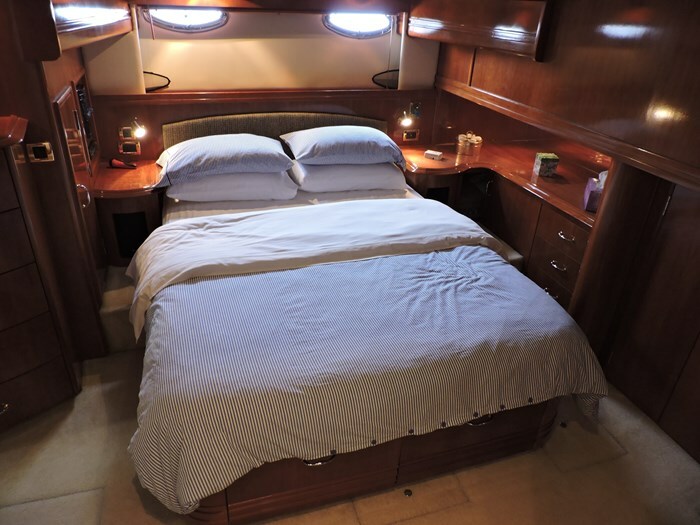 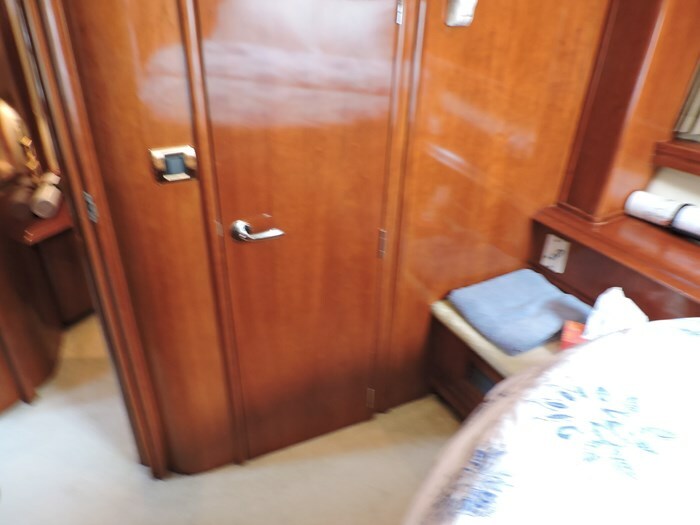 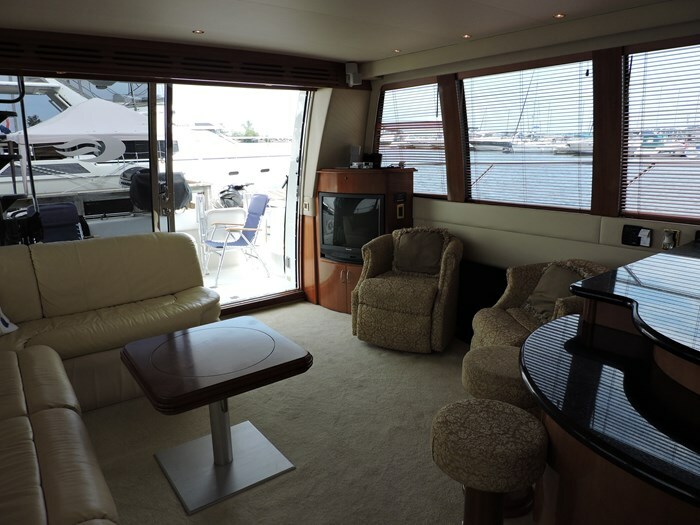 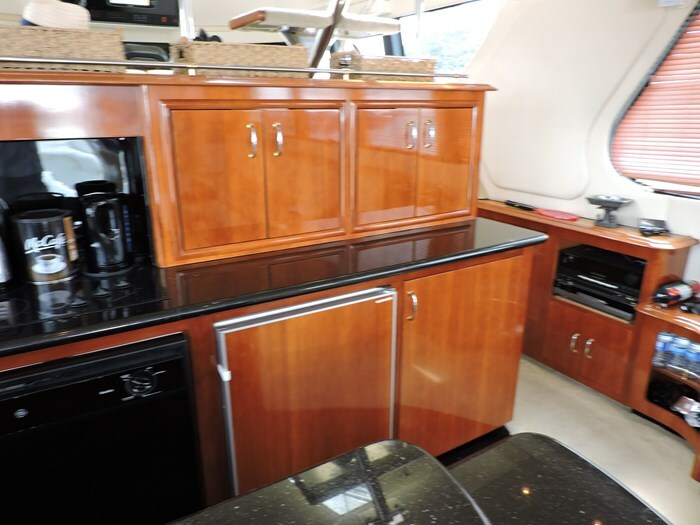 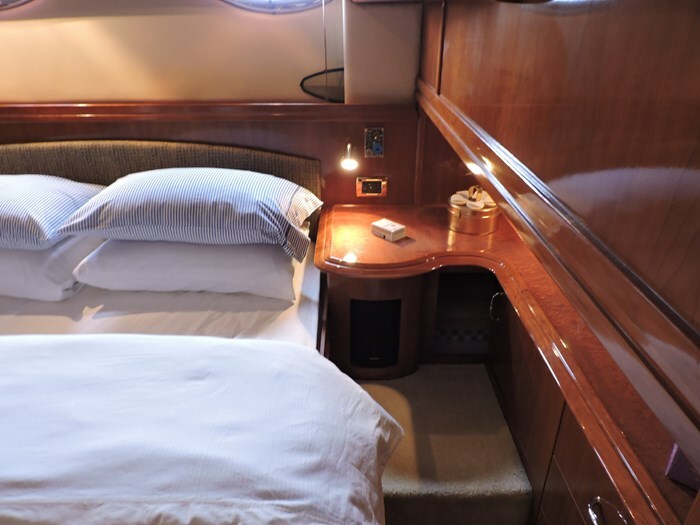 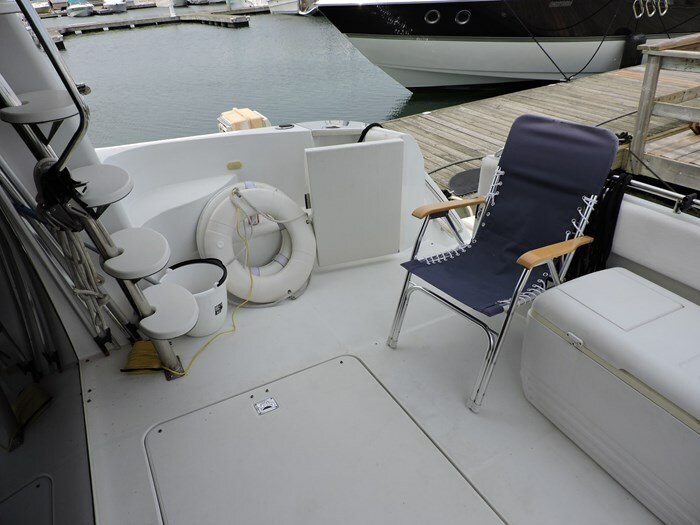 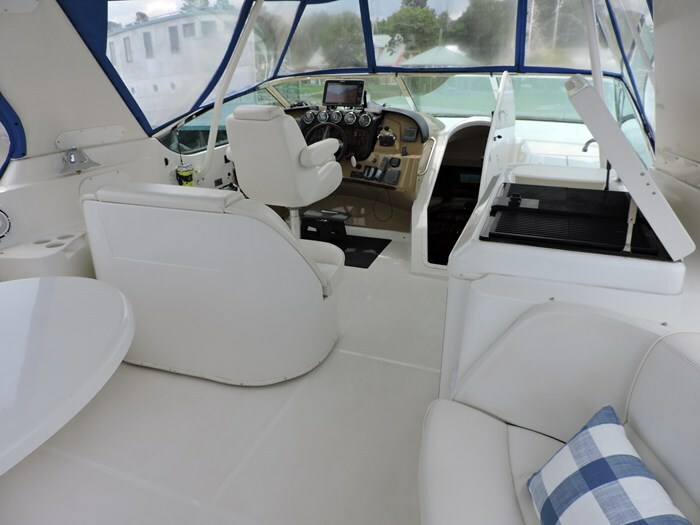 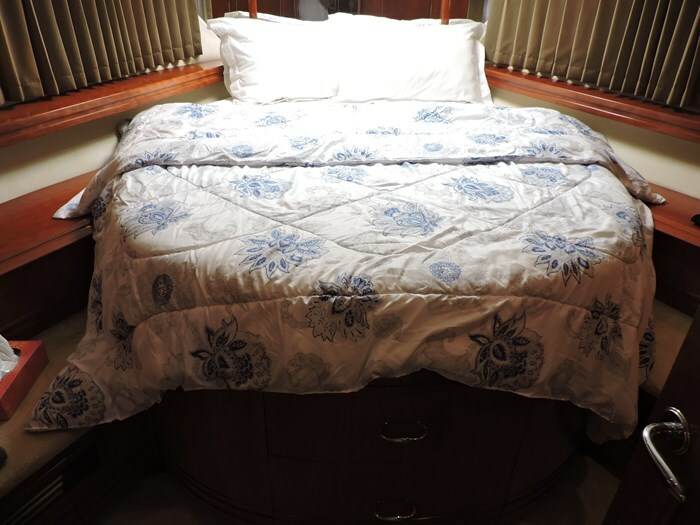 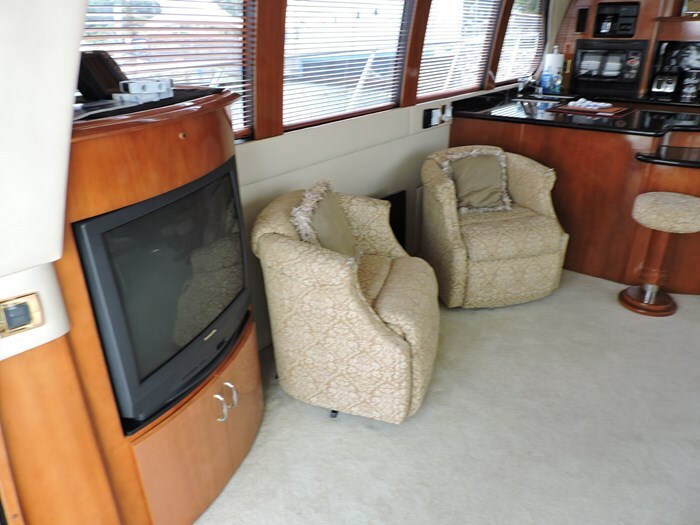 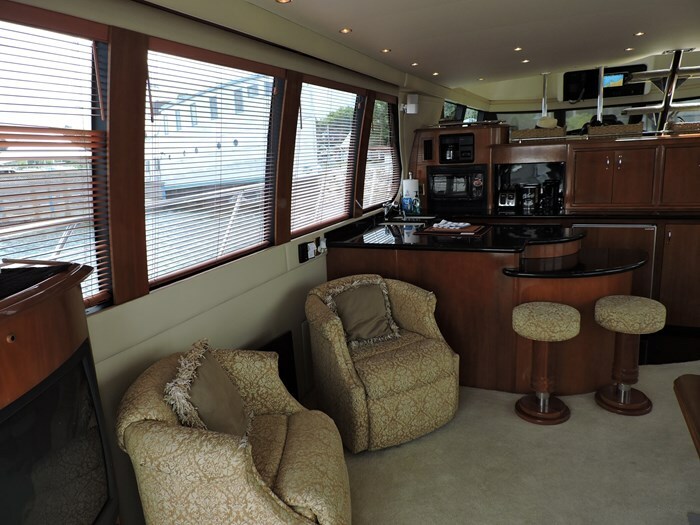 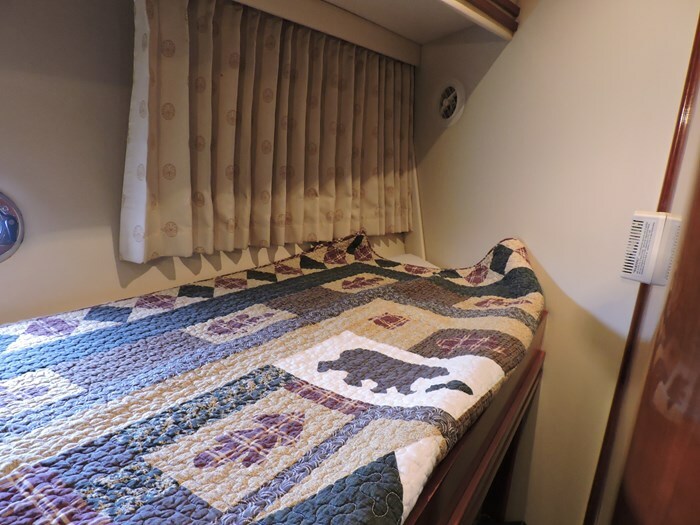 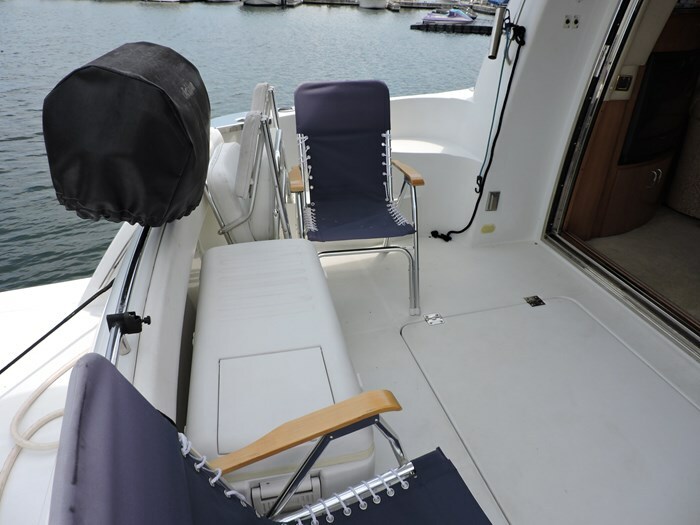 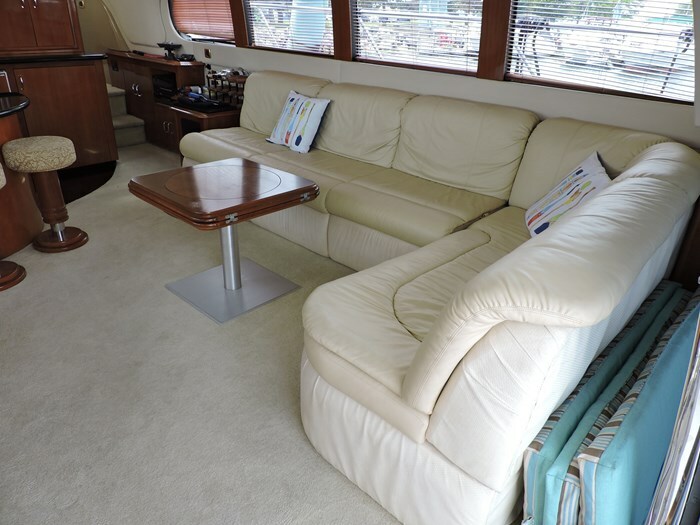 Interior-Cabin Carpet, Cabin Lighting, Convection Microwave, Curtains, Deck Hatch, Hanging Locker, Innerspring Mattress, Lower Helm, Mini Blinds, Port Holes, Salon Chairs, Salon Sofa with Recliners, Salon Table. 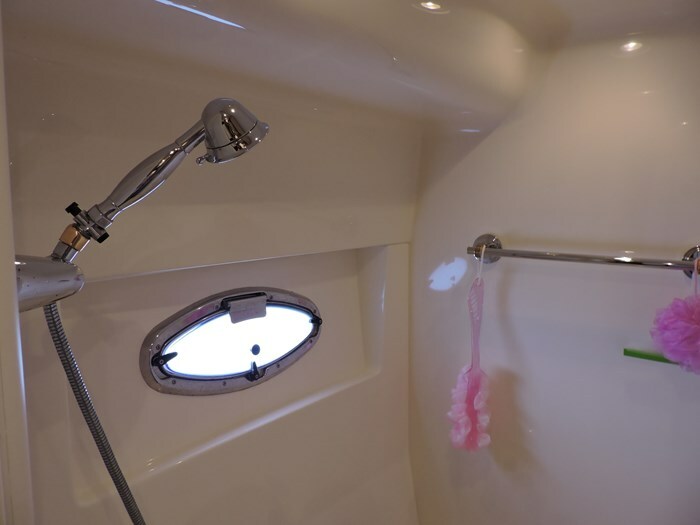 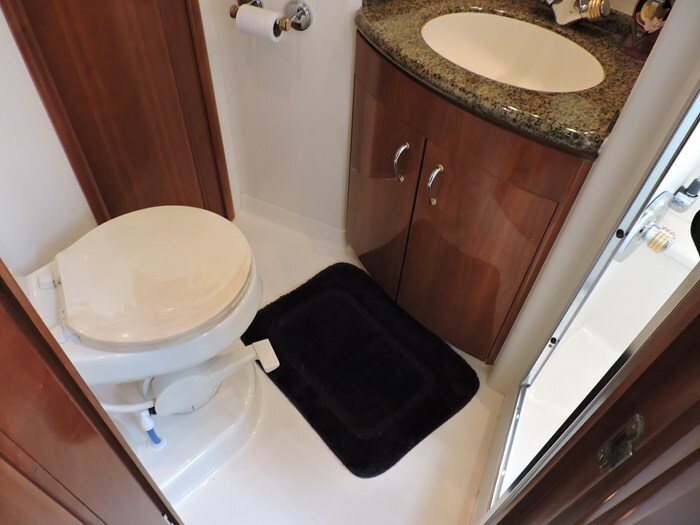 Master Head-Vacuflush Toilet, Tub with Shower, Sink, Vanity, Mirror. 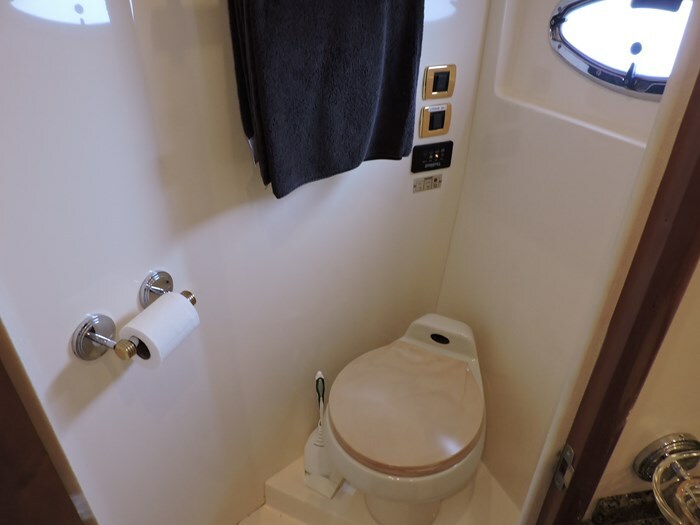 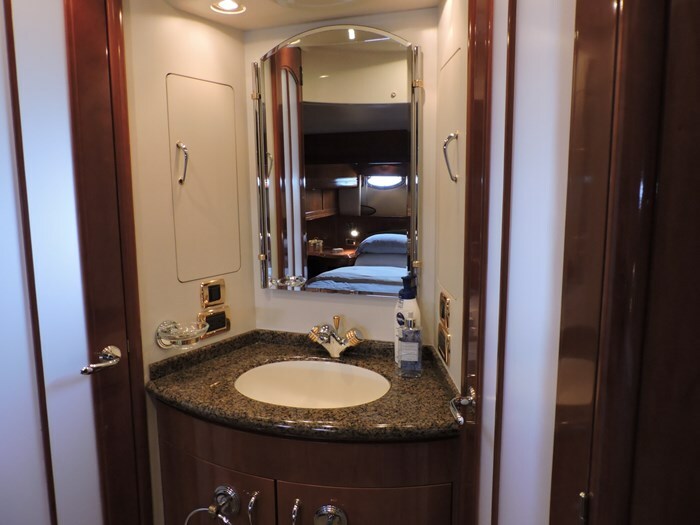 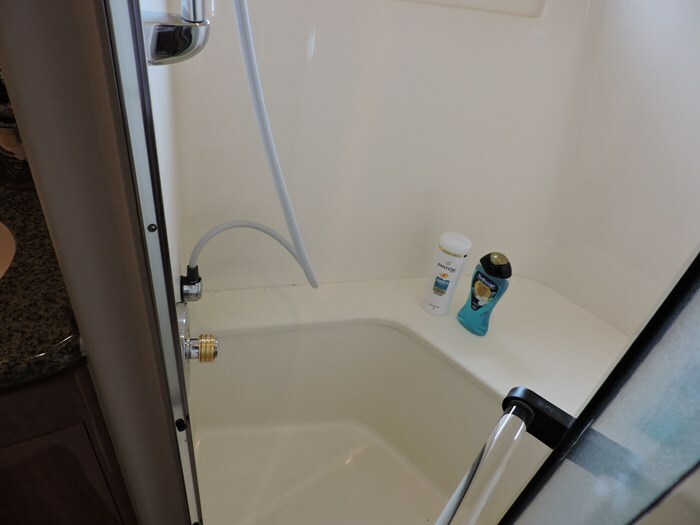 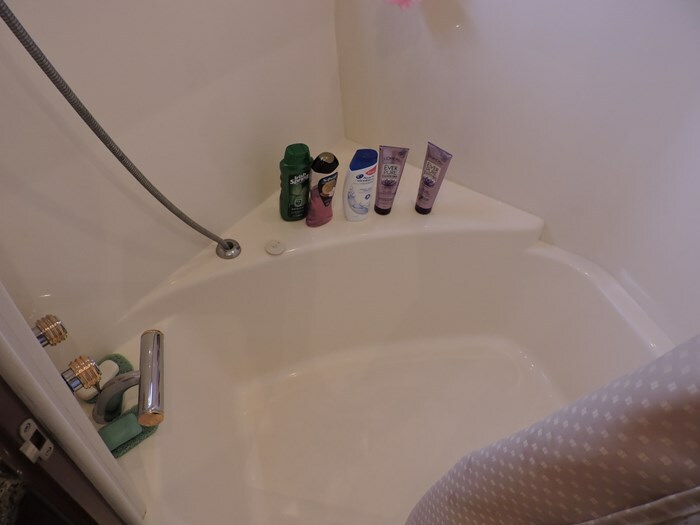 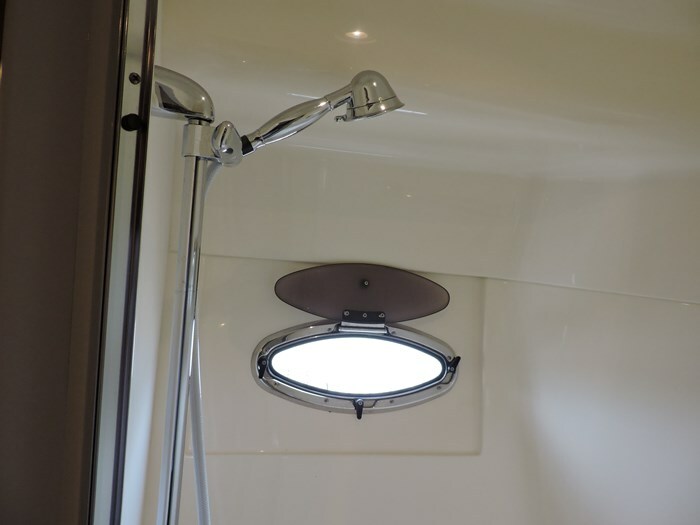 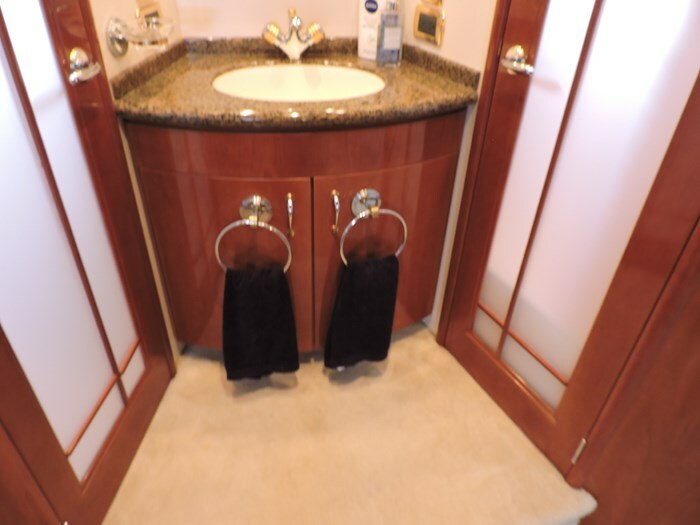 Guest Head-Vacuflush Toilet, Stall Shower, Sink, Vanity, Mirror. 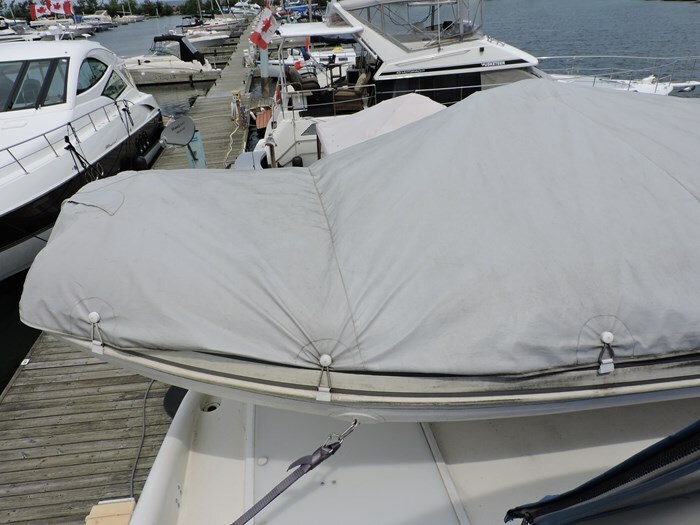 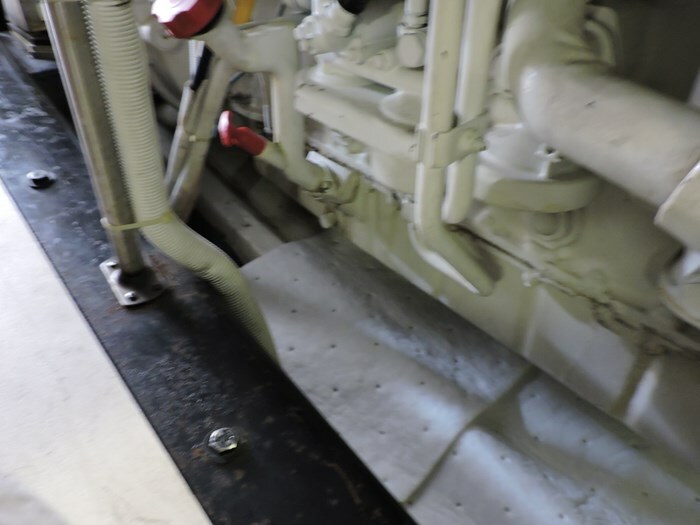 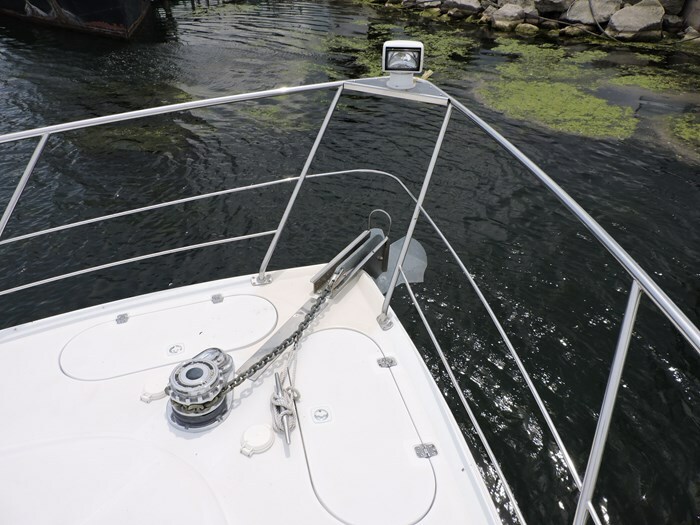 Safety-Anchor with Chain, Anchor Windlass, Dock Lines, Fenders, Halon System.